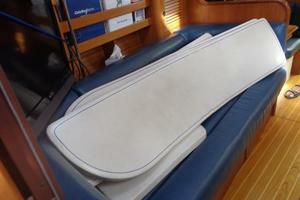 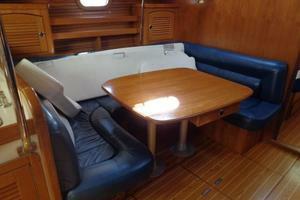 The Catalina 470 is a very able and luxurious sailing yacht, fully capable of sailing anywhere. 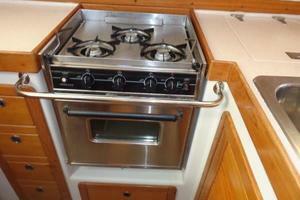 She is known as a proven performer offering excellent quality, tremendous value with good performance and comfort. 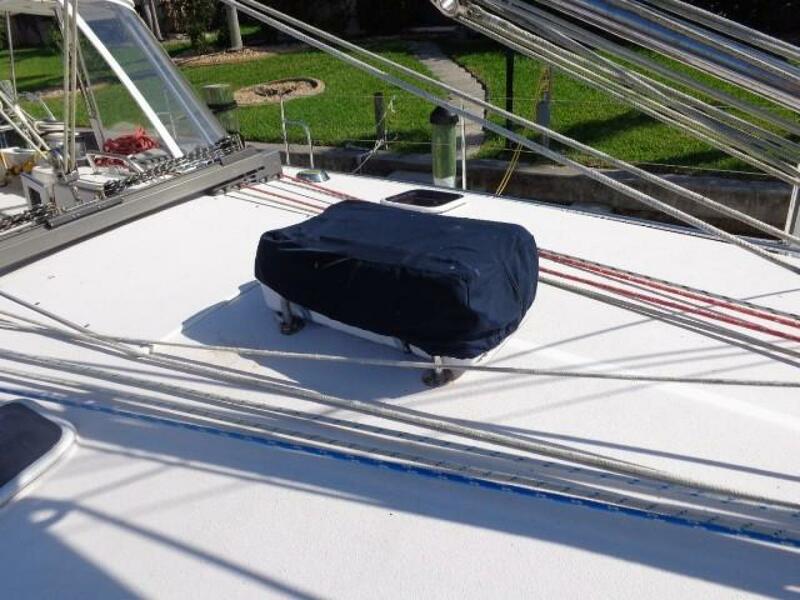 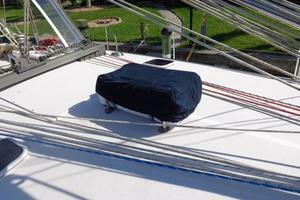 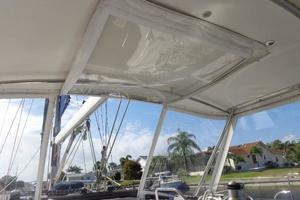 She is built using a structural fiberglass grid structure bonded to the hull providing additional strength. 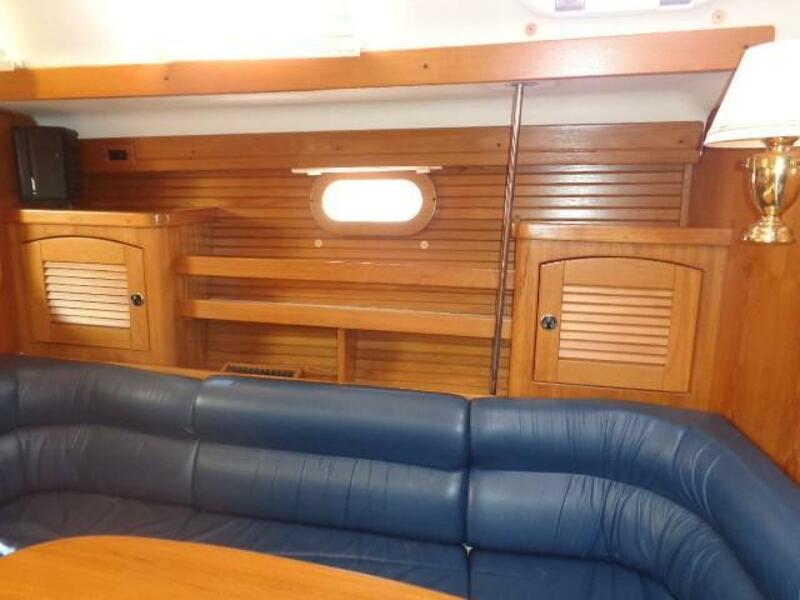 She carries her beam well aft creating a generous master cabin aft and spacious cockpit with dual steering wheels. 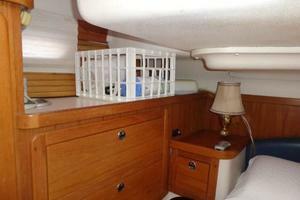 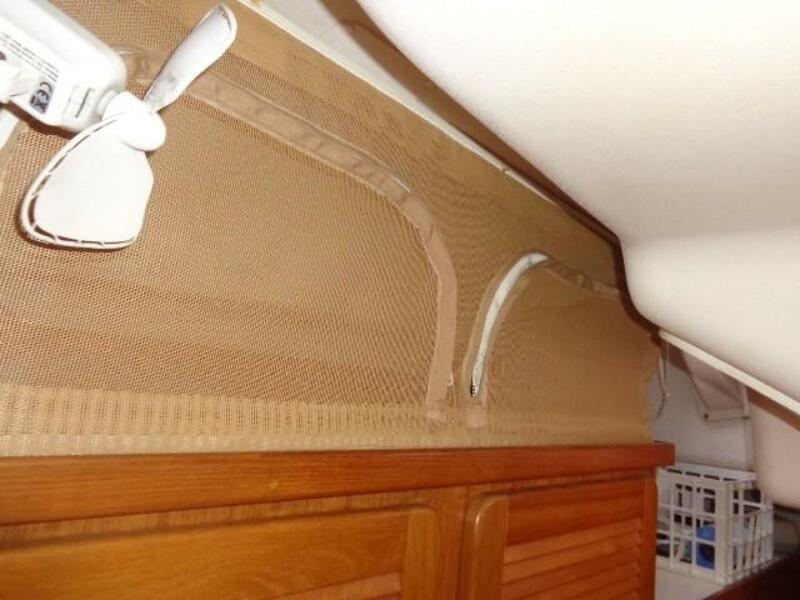 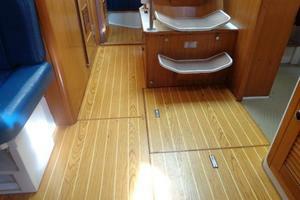 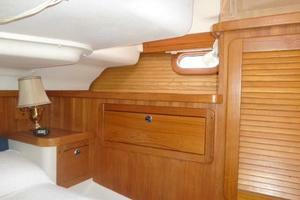 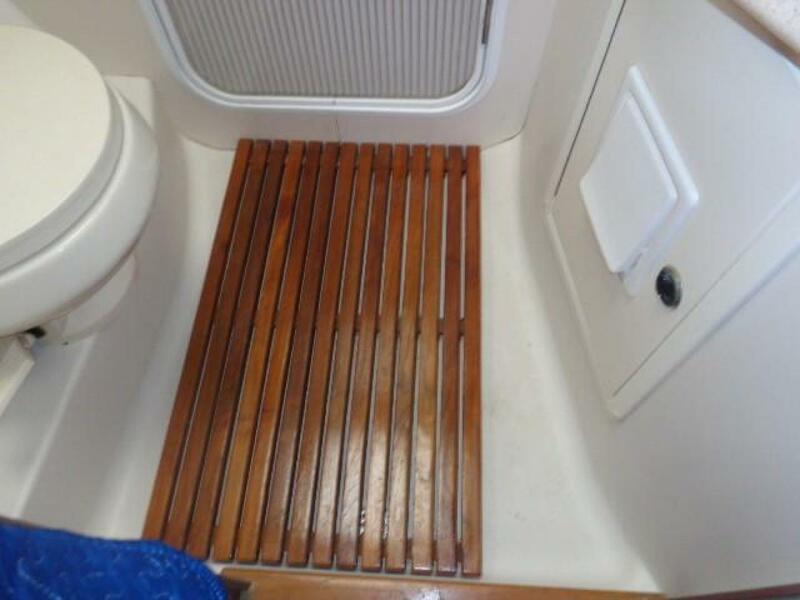 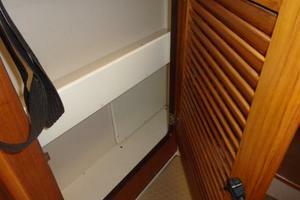 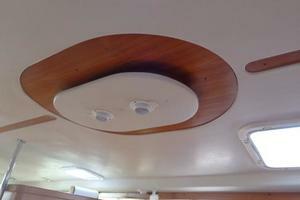 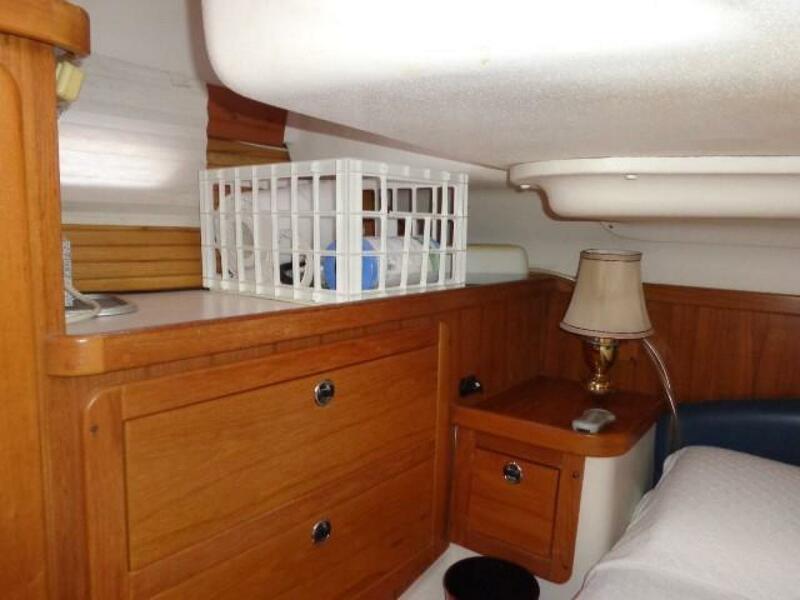 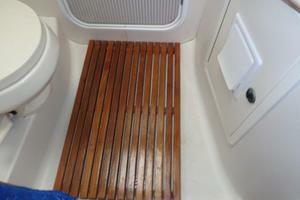 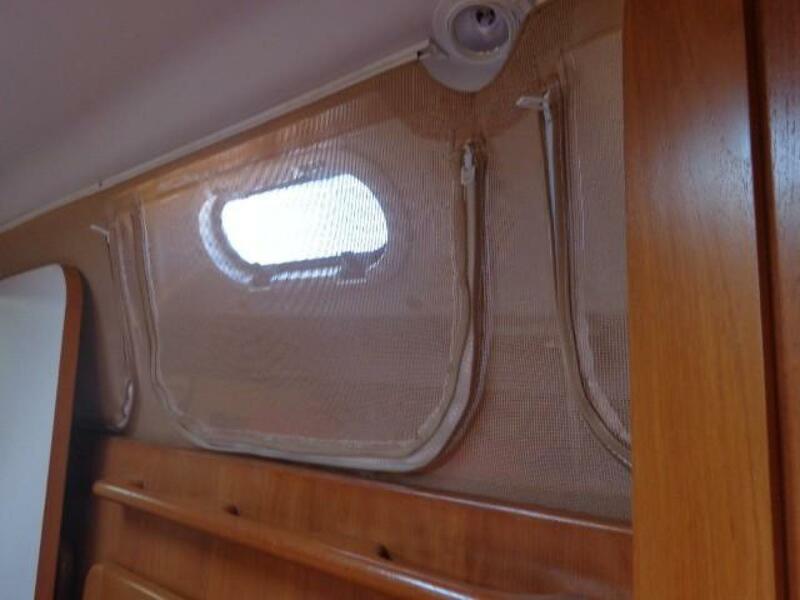 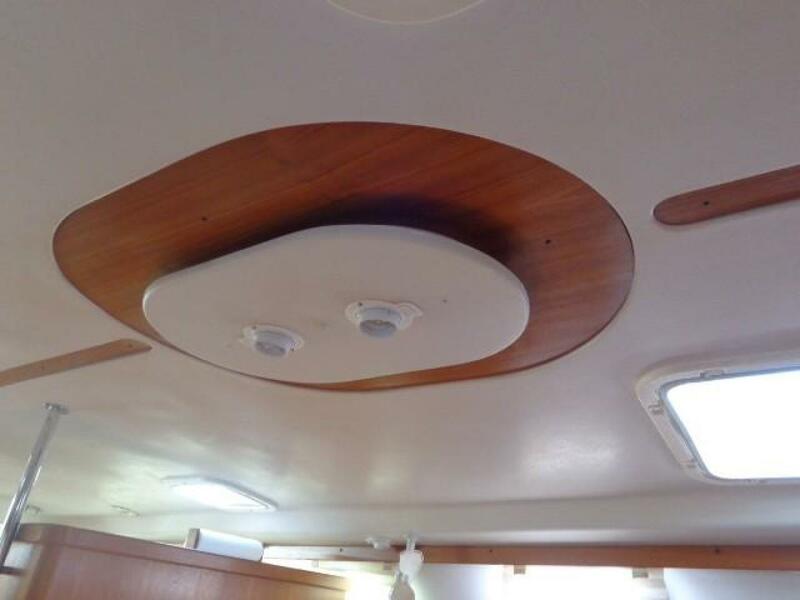 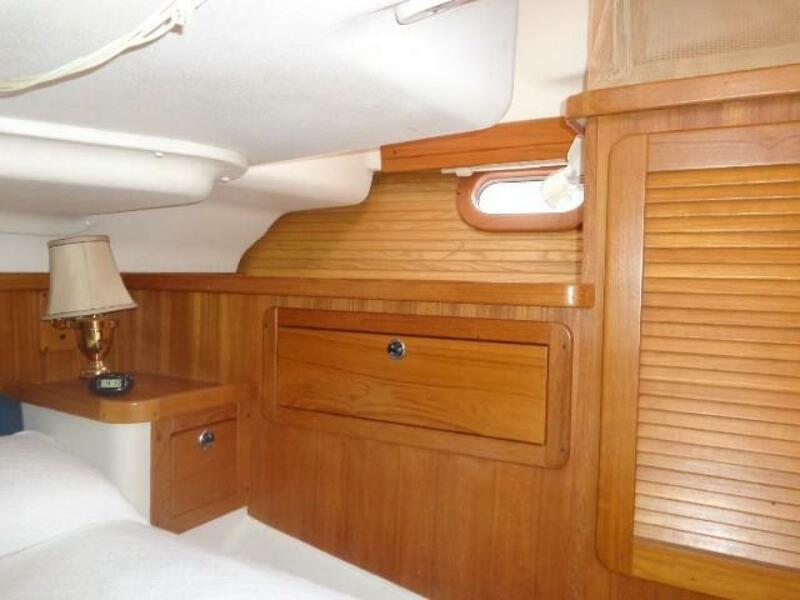 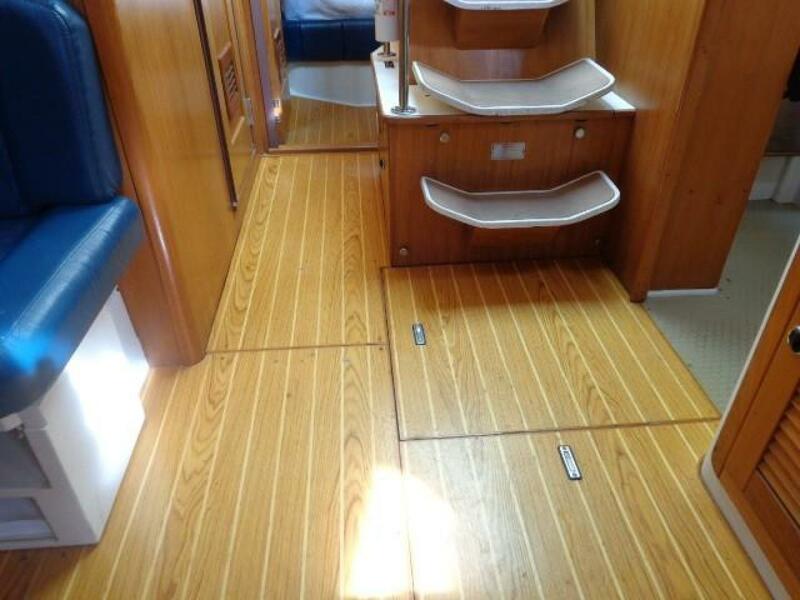 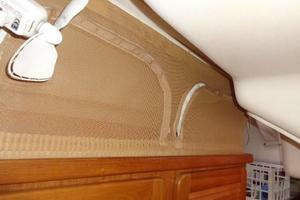 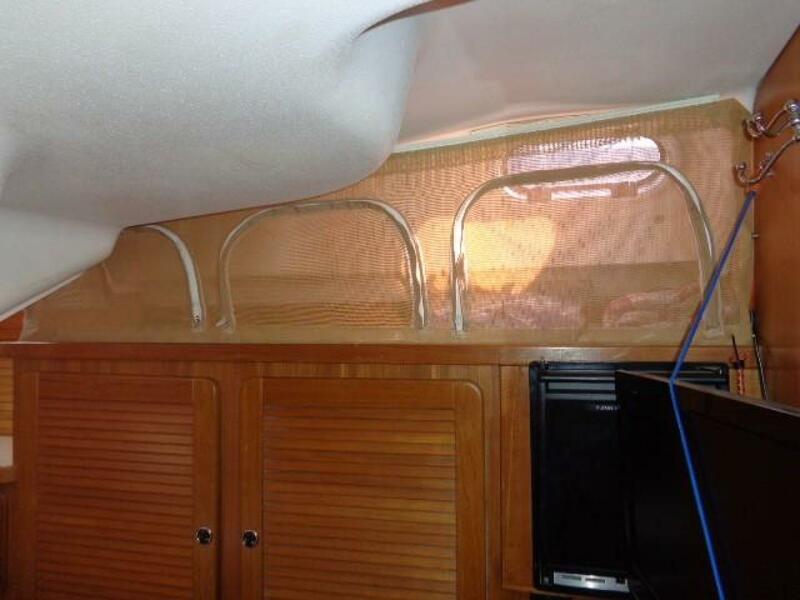 Tall sailors take note - this model offers 6'6" headroom throughout the salon and much of the interior! 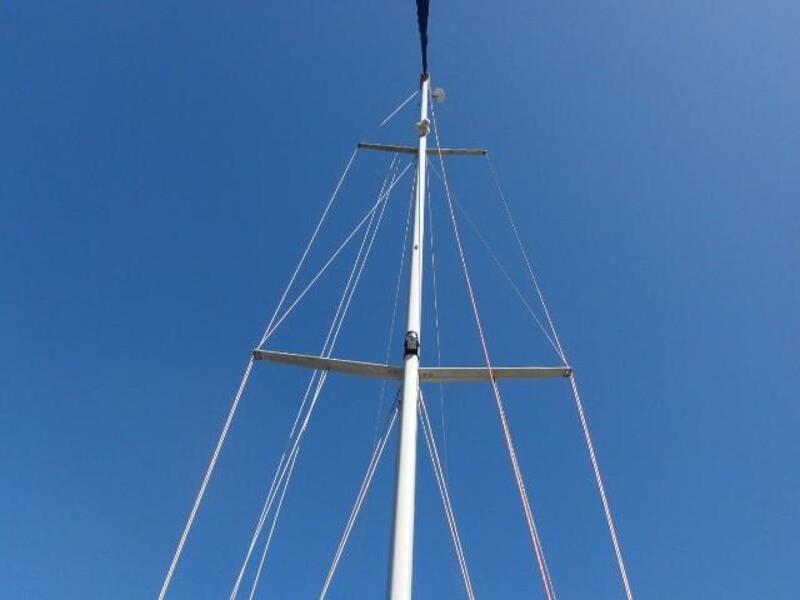 It’s also important to note that many harbors and mooring fields limit the size of the vessel to under 50’, thus at 47’ she’s welcome at most destinations! 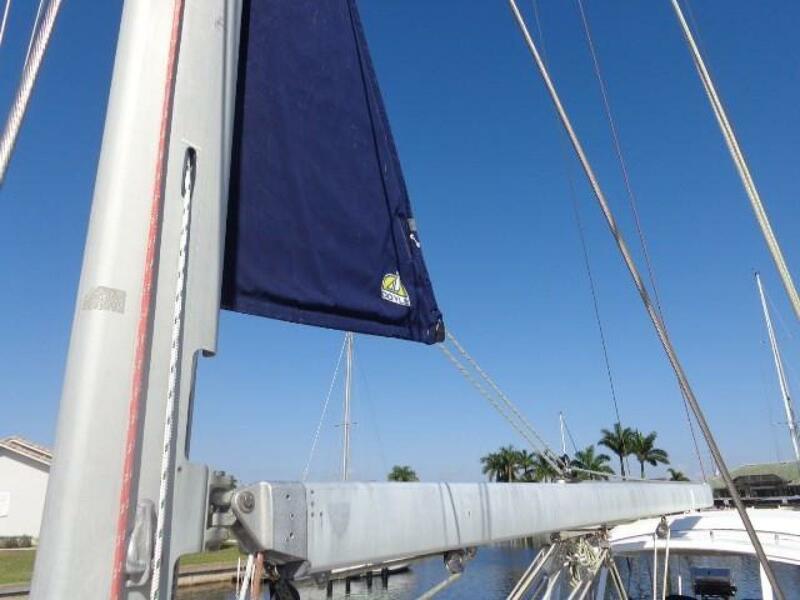 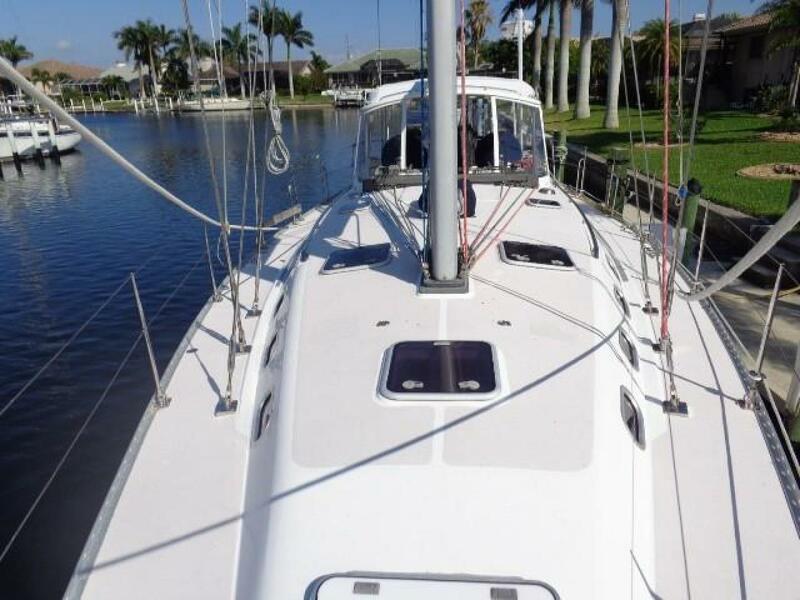 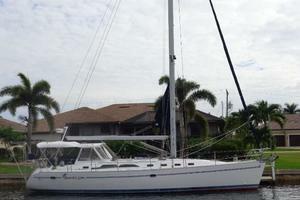 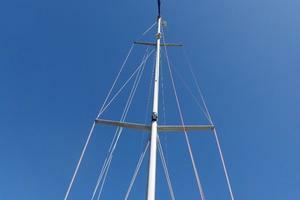 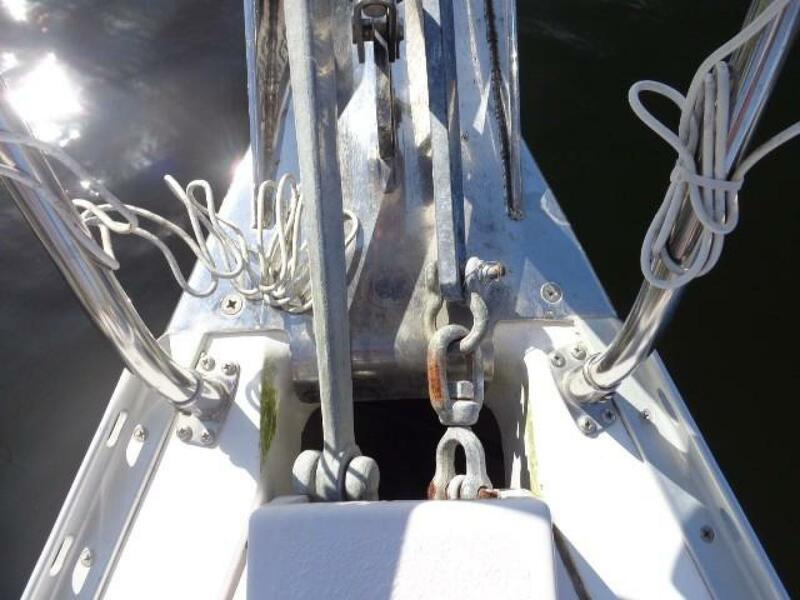 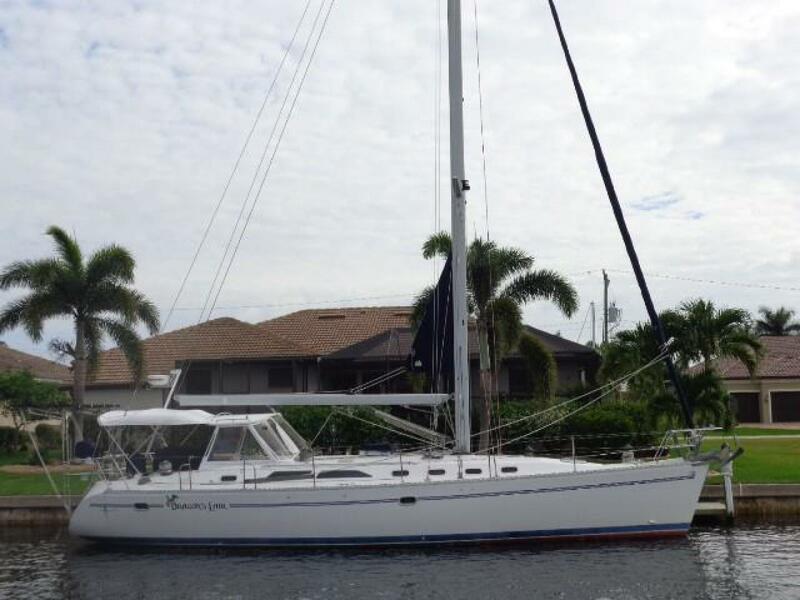 Dragon's Lair has been owned by a knowledgeable sailor who has continued to upgrade and improve this fine yacht since he bought her. 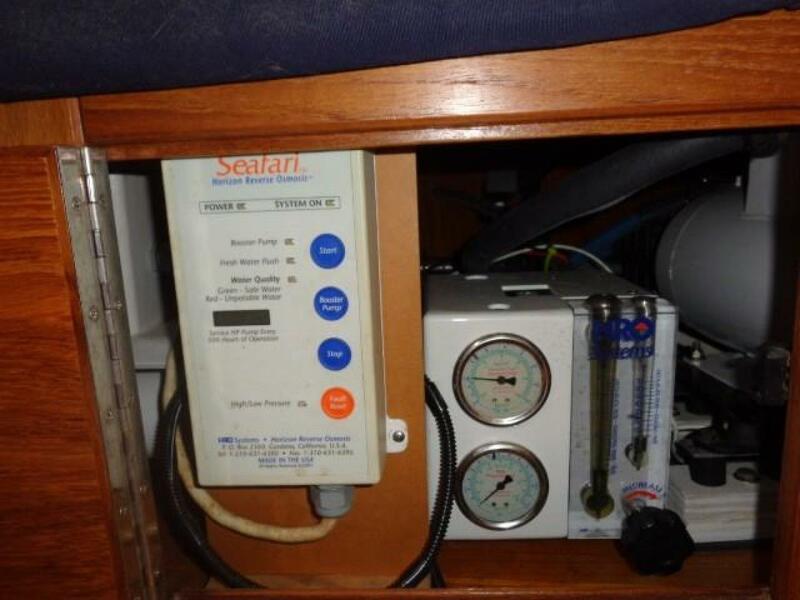 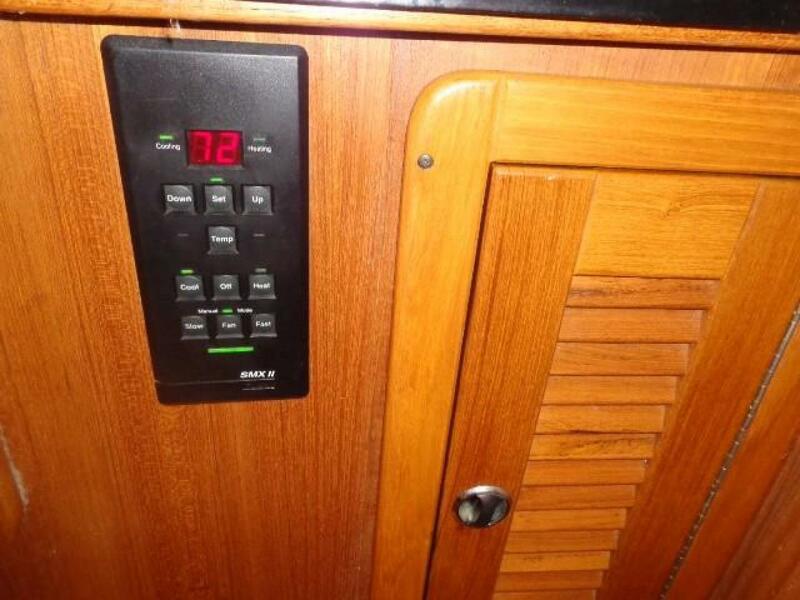 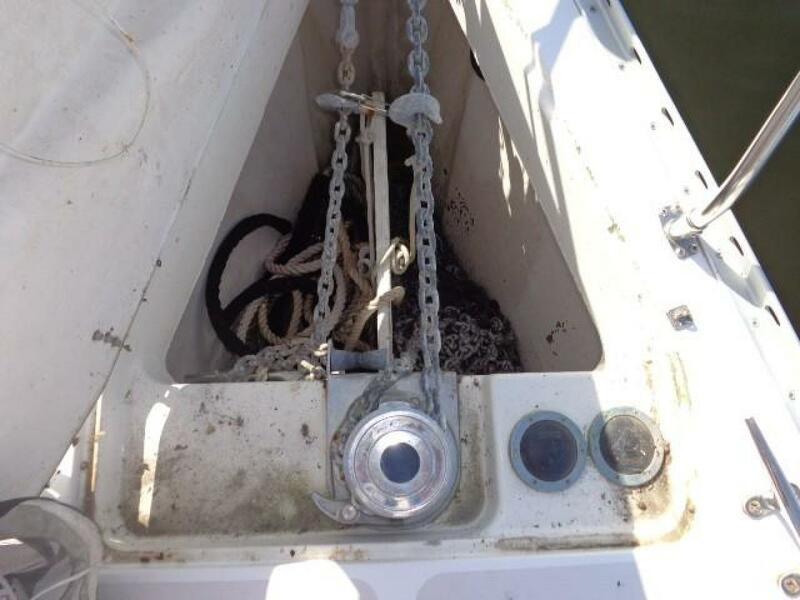 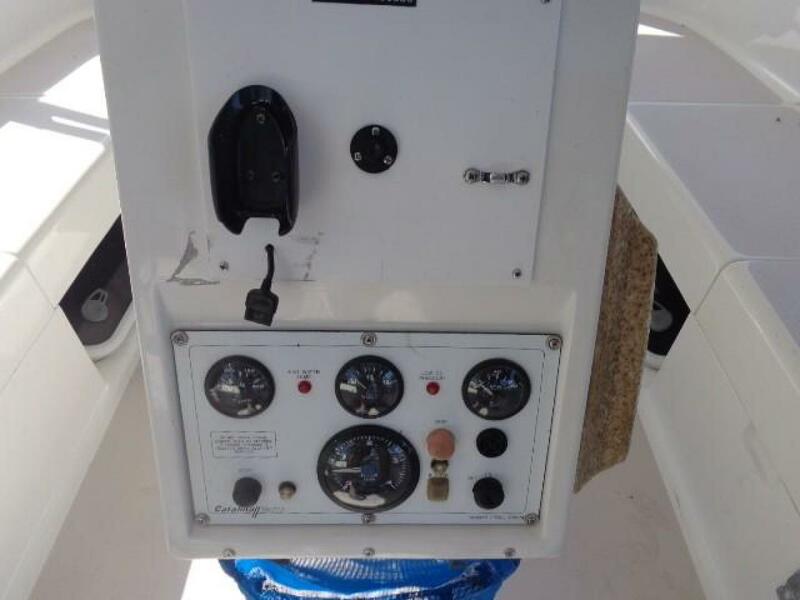 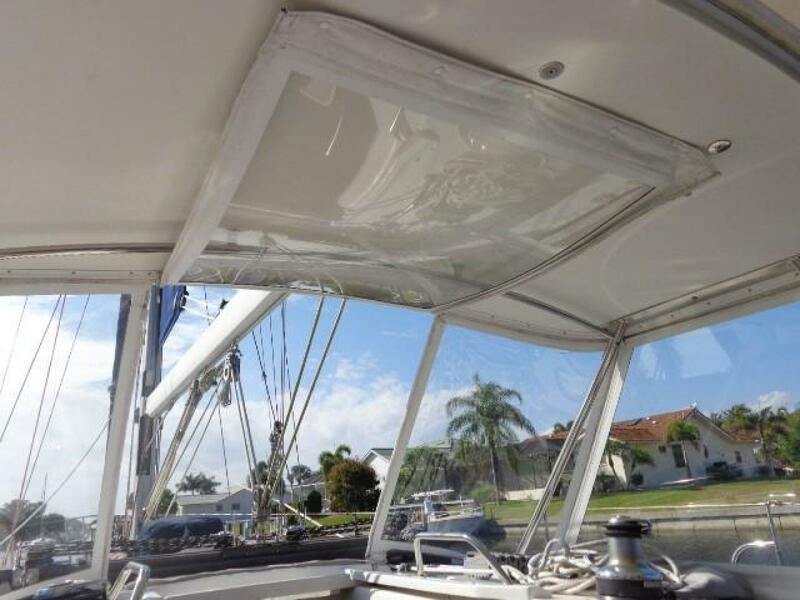 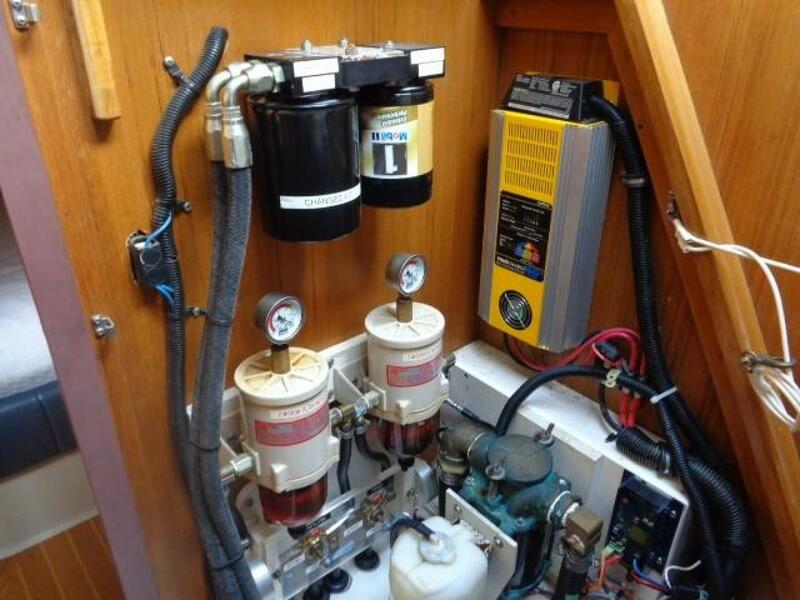 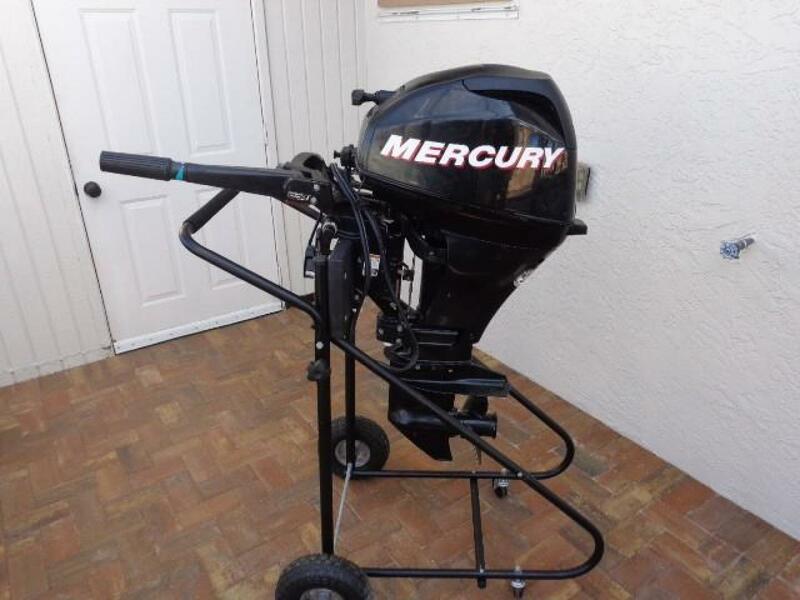 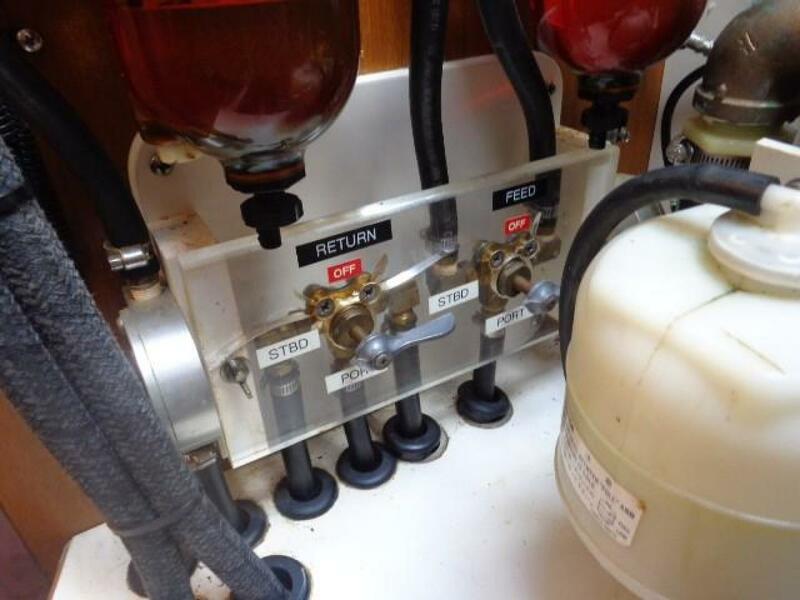 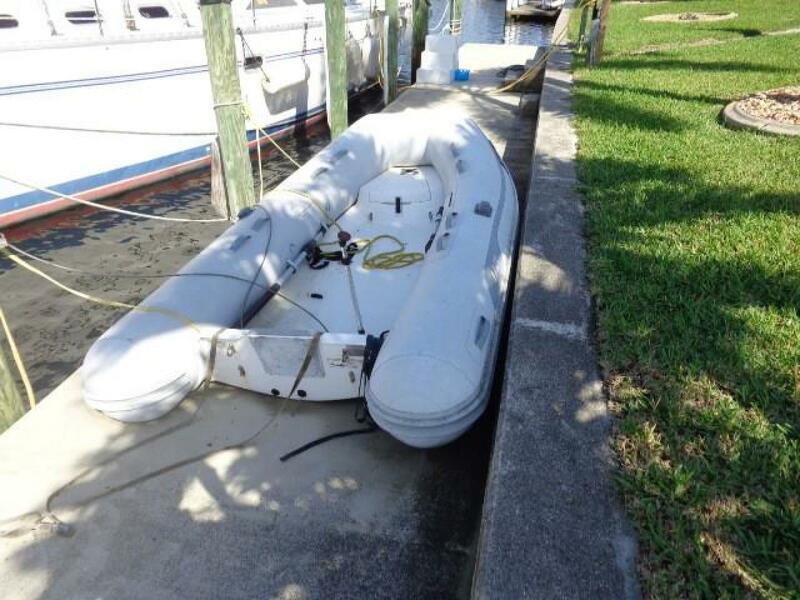 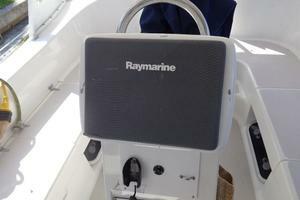 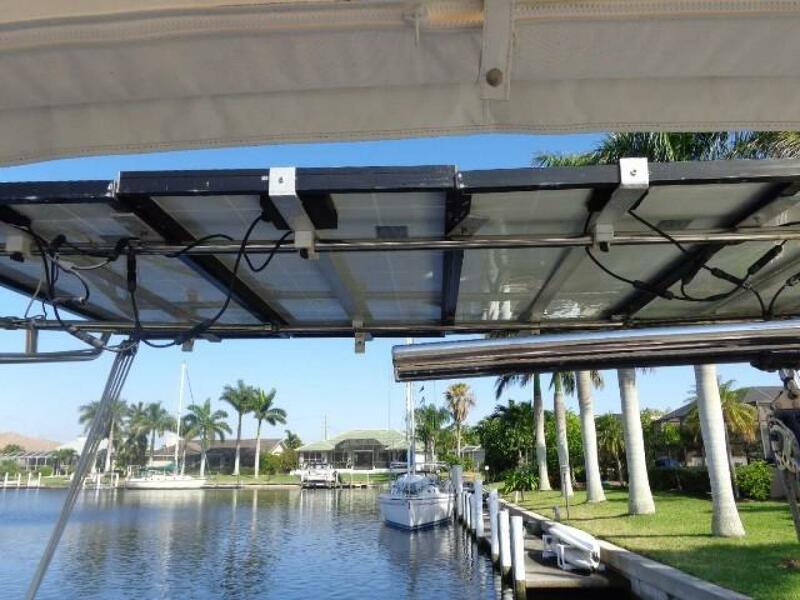 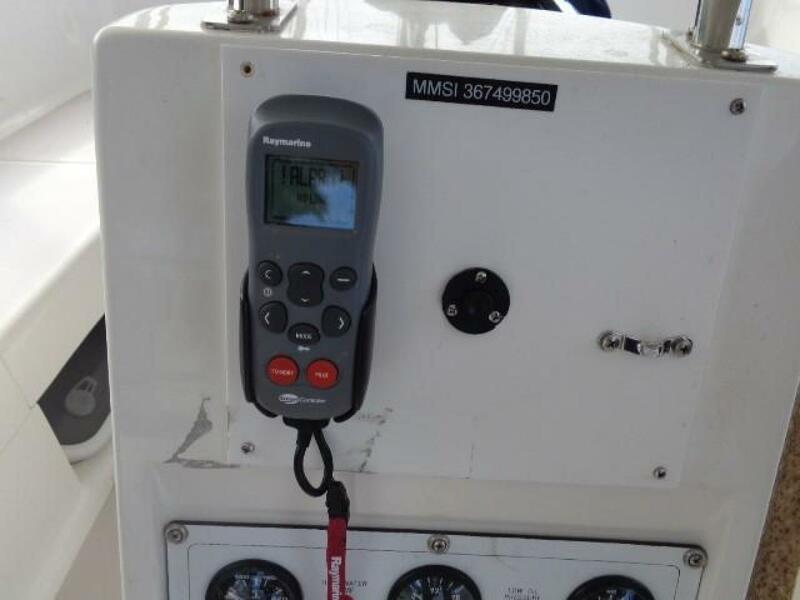 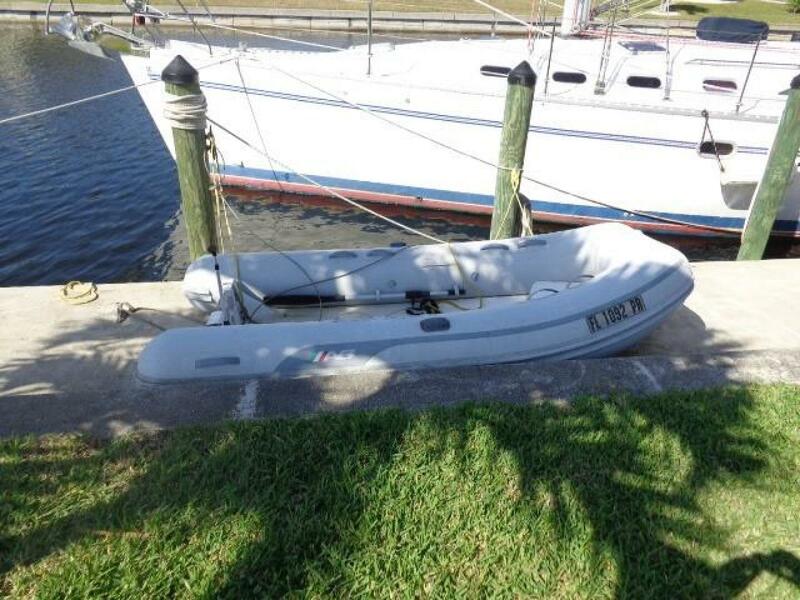 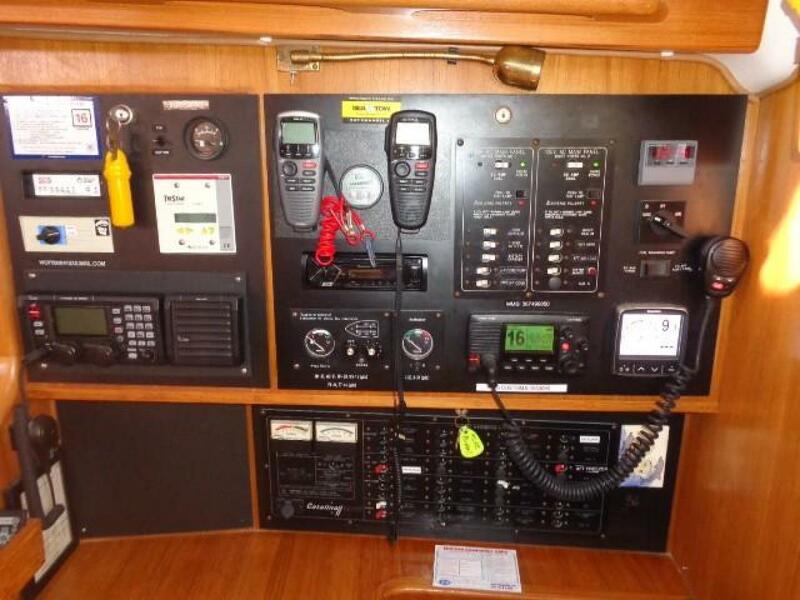 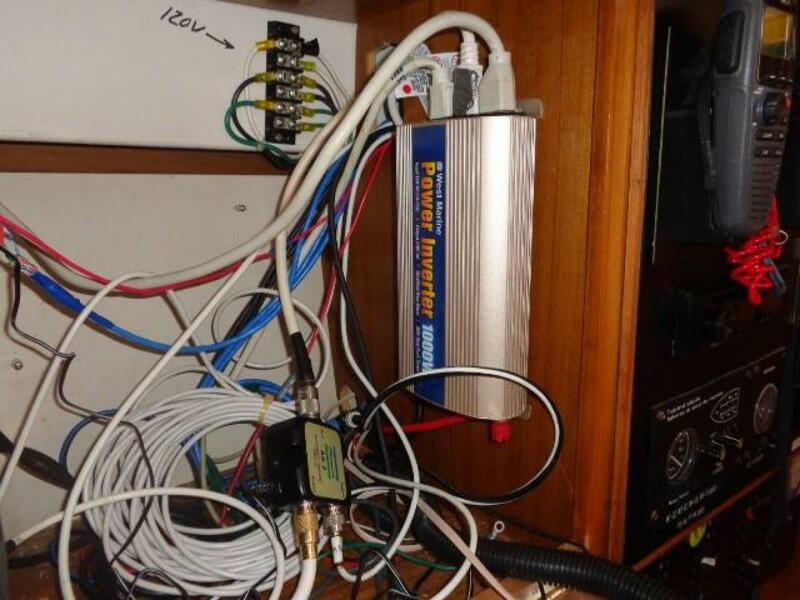 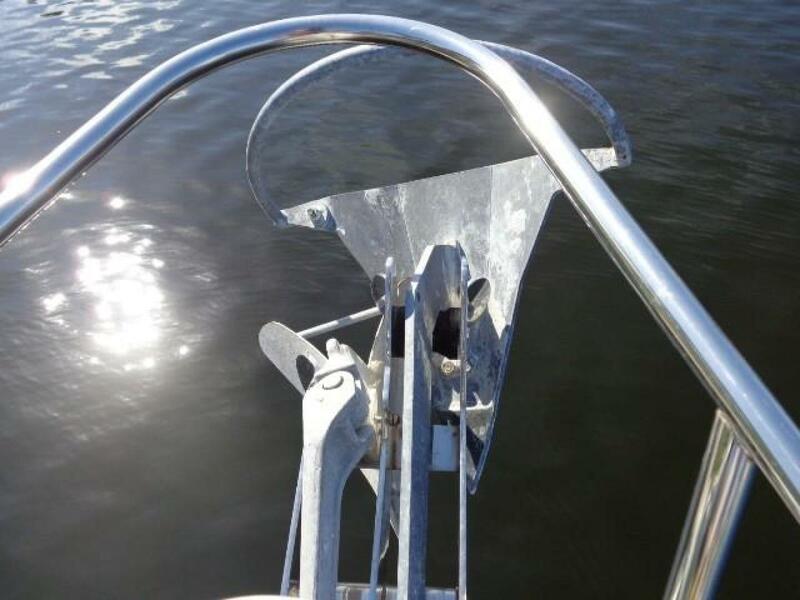 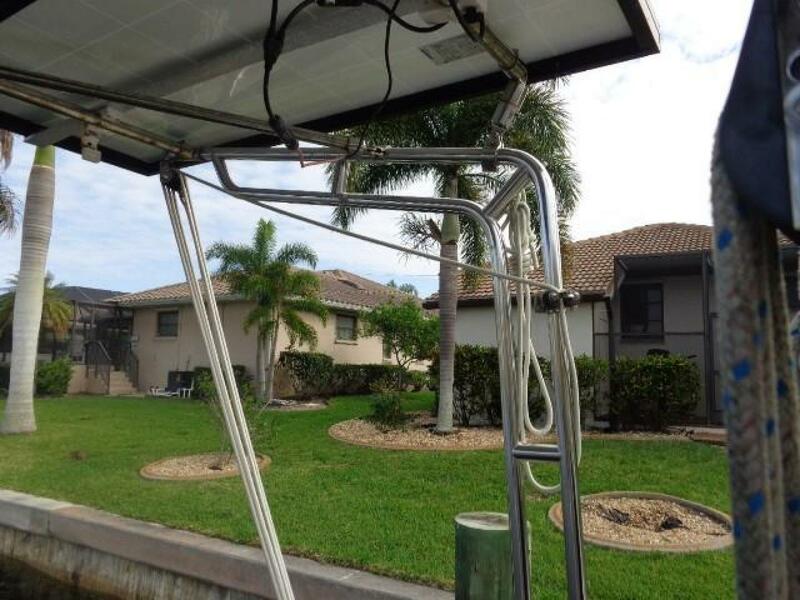 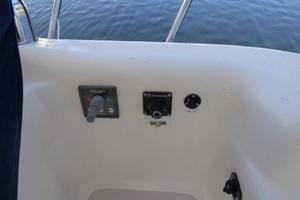 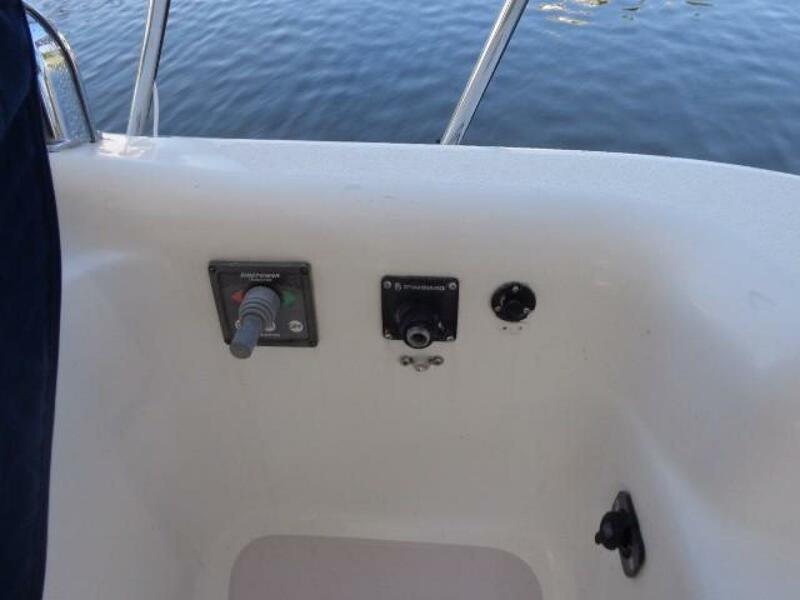 This boat has all of the right equipment, including a full array of electronics, generator, air conditioning, bow thruster, solar panels, etc. 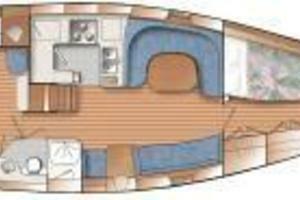 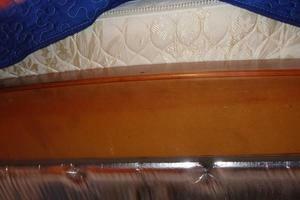 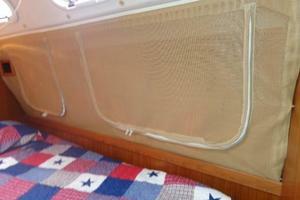 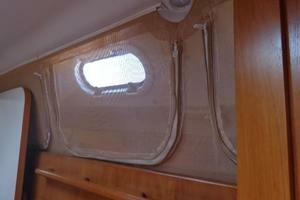 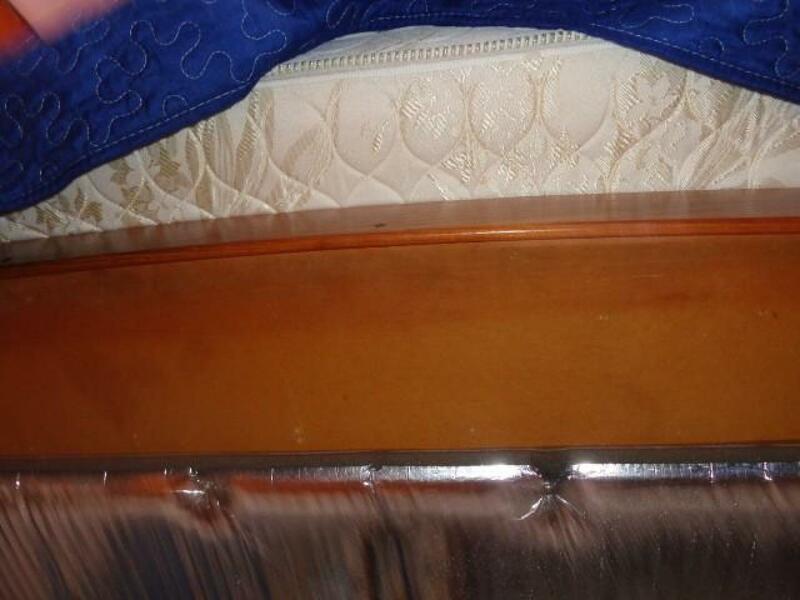 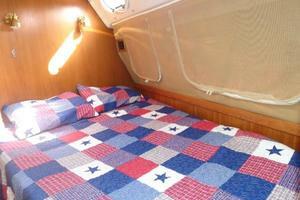 Dragon’s Lair has a beautiful interior arrangement that is remarkable in its overall size, function and comfort level. 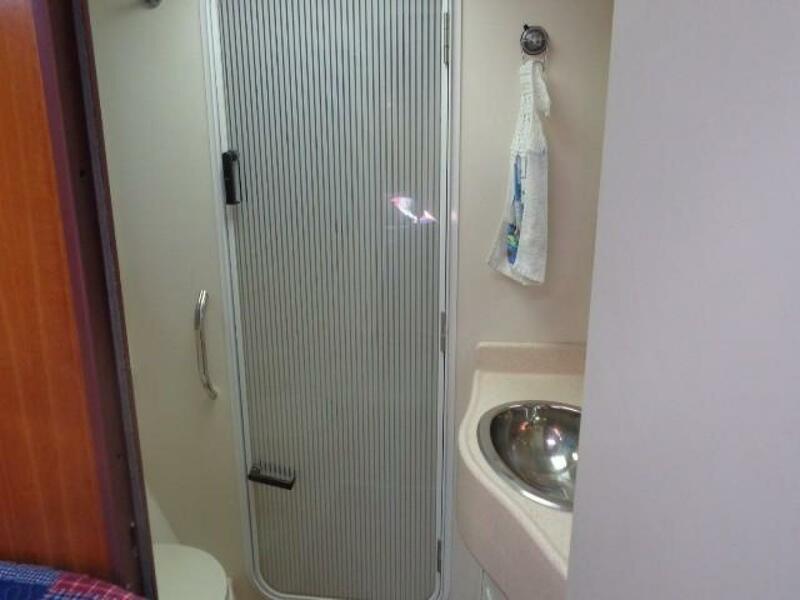 Starting forward, there is a private guest head with a full enclosed shower followed by the guest stateroom with a double pullman berth to port. 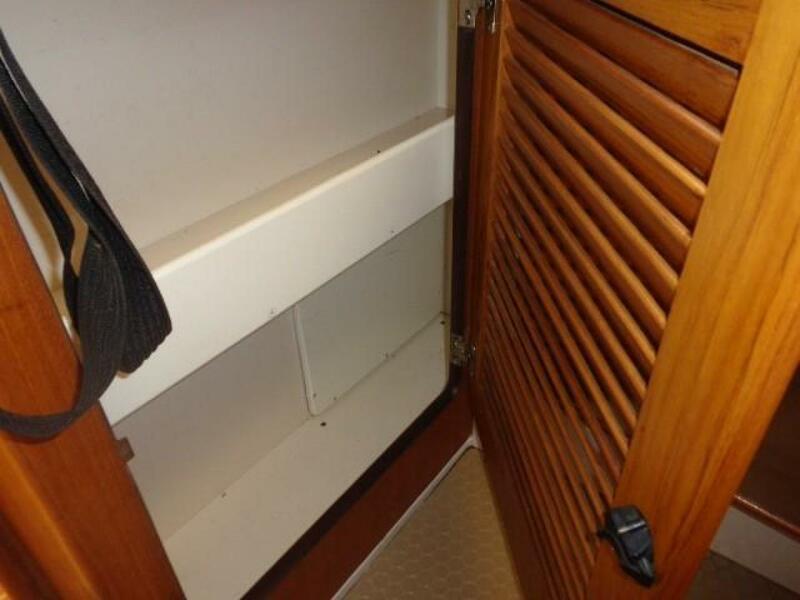 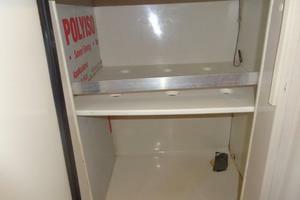 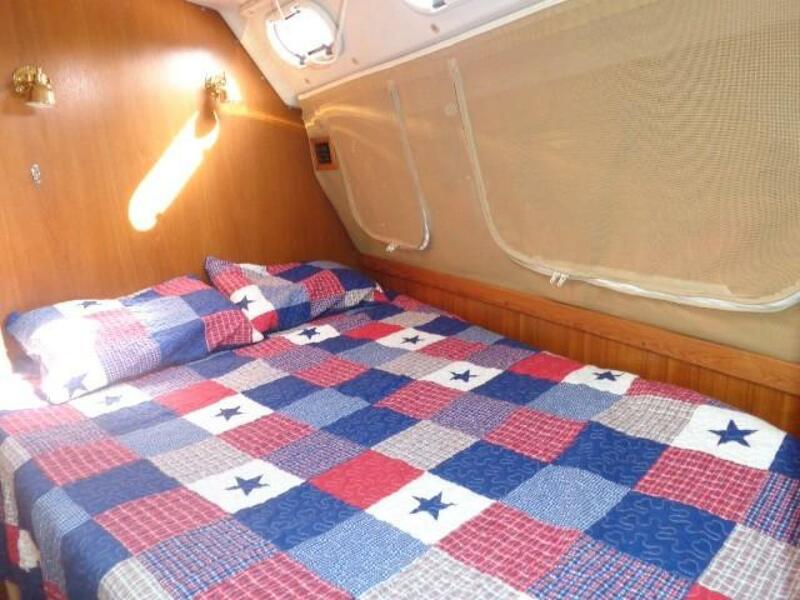 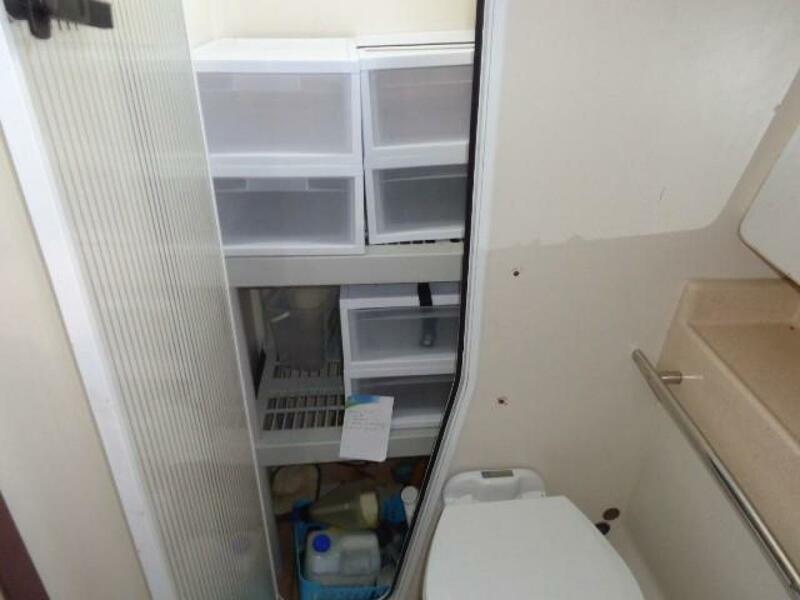 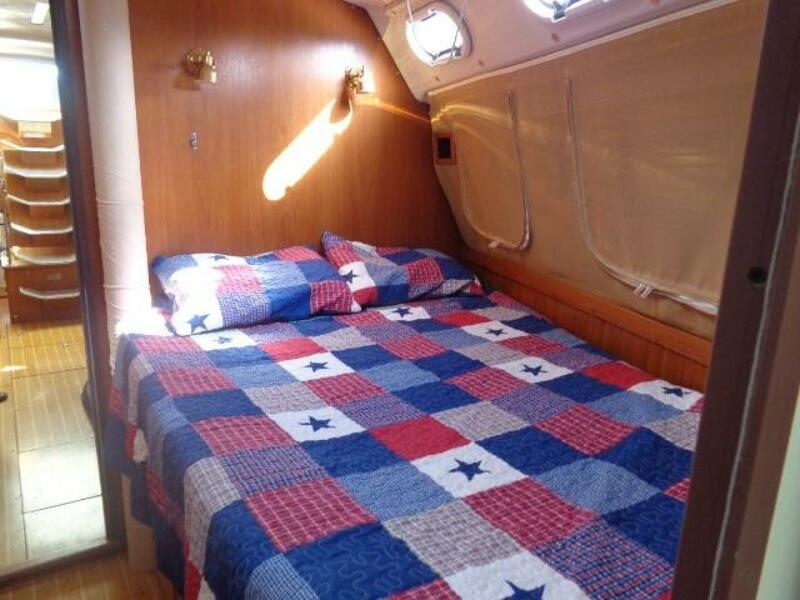 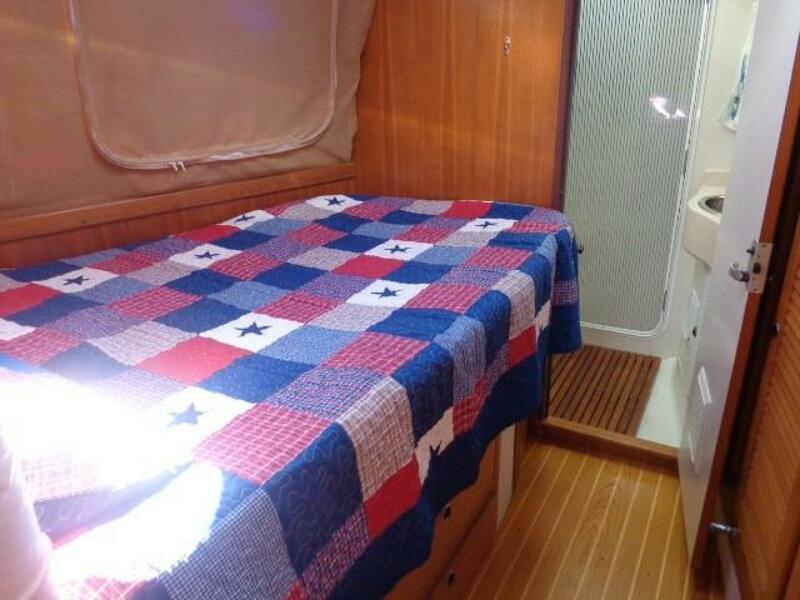 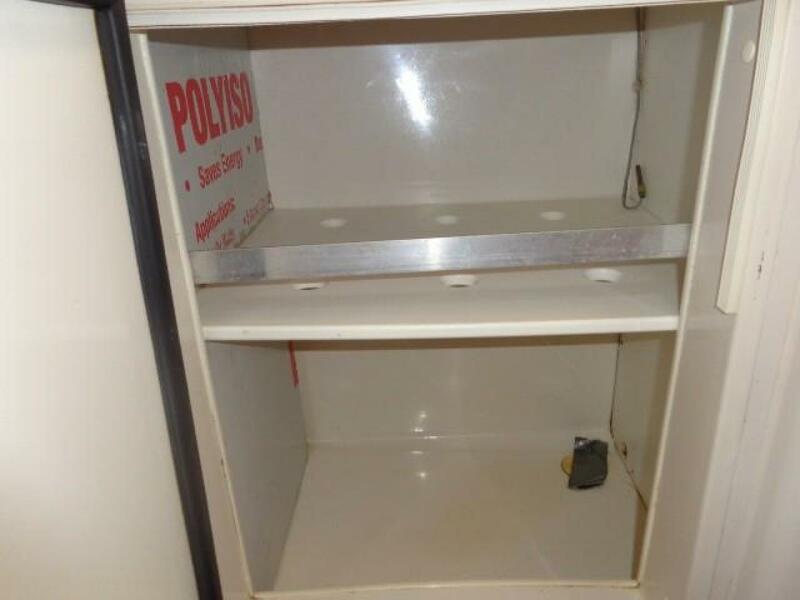 This private cabin offers an abundance of storage both under the berth and across in large hanging lockers, shelves and drawers. 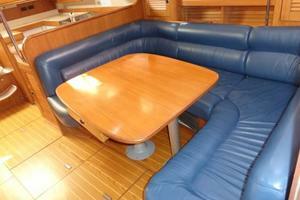 Continuing aft, you move into the spacious main salon. 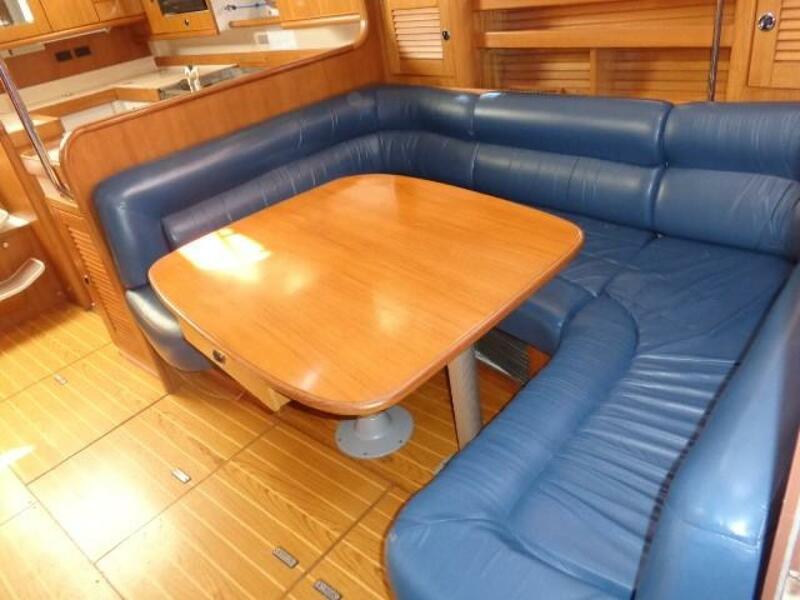 There is a U-shaped dinette to port which can convert to a double berth and a straight settee directly across which can also be utilized as a single berth to accommodate additional guests. 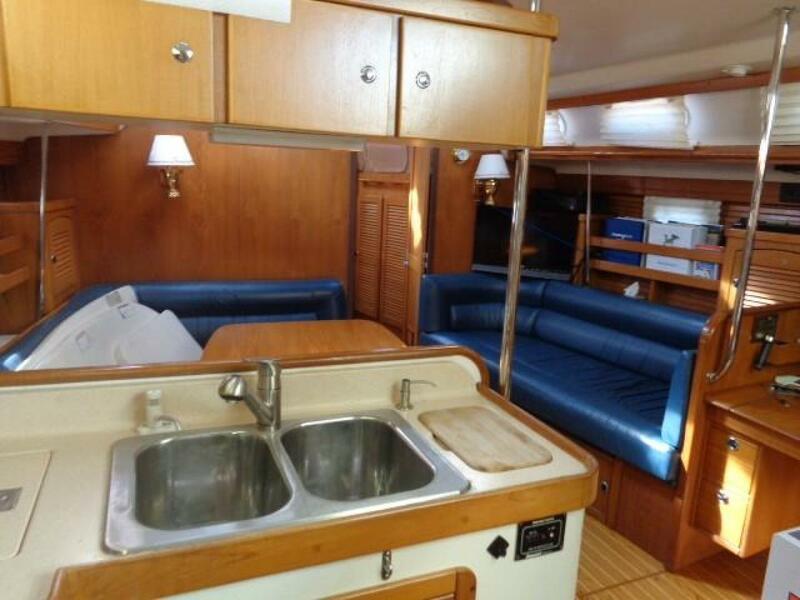 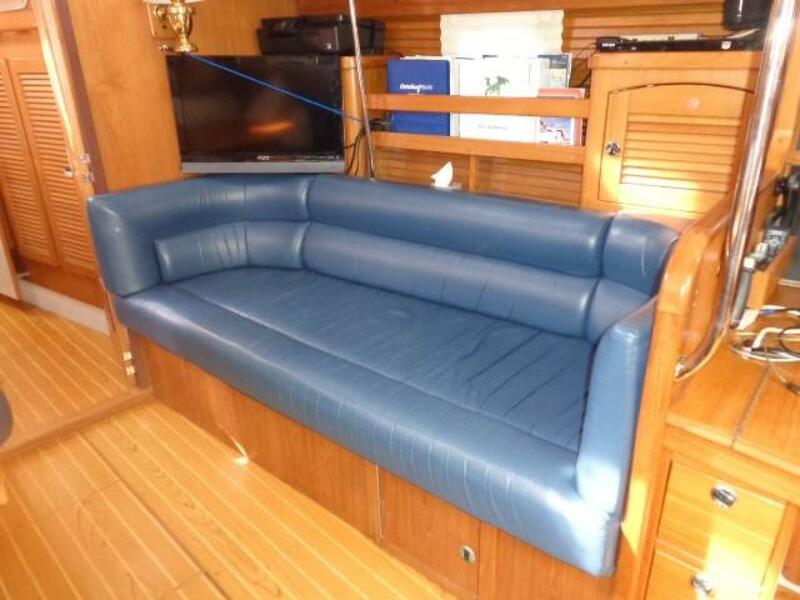 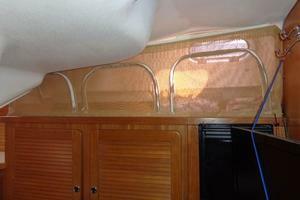 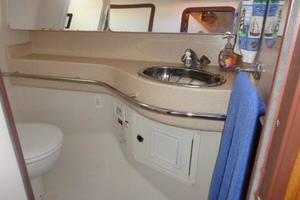 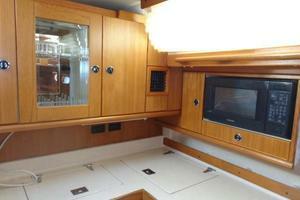 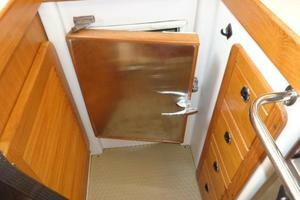 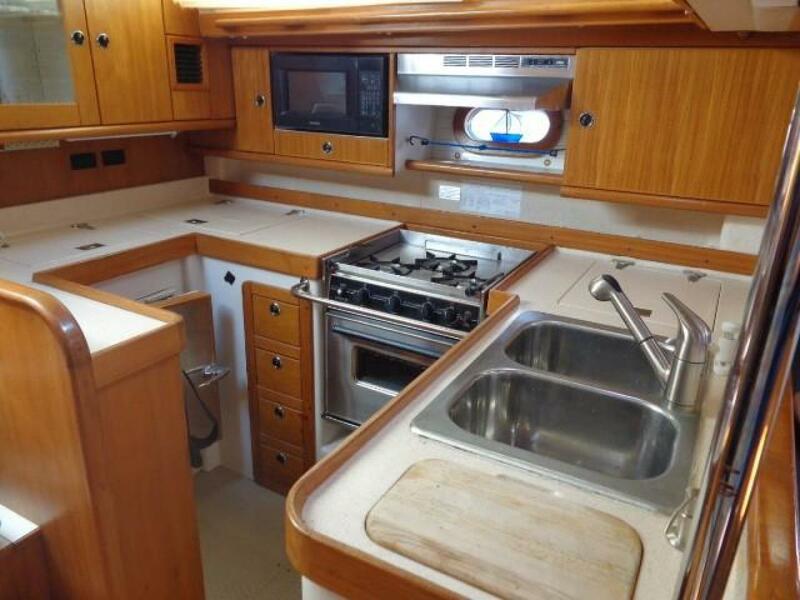 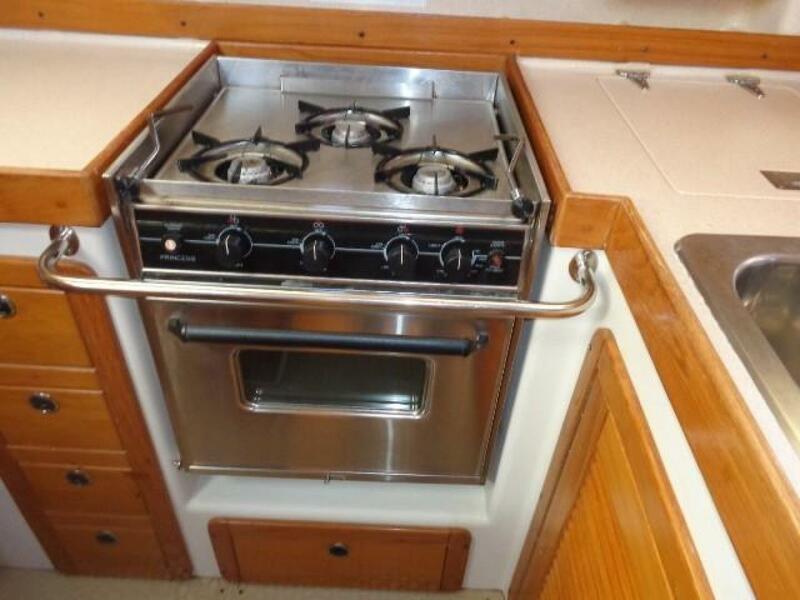 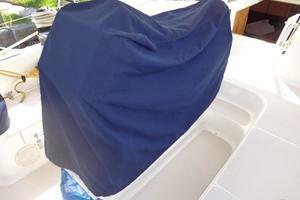 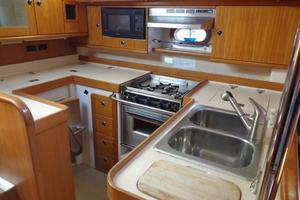 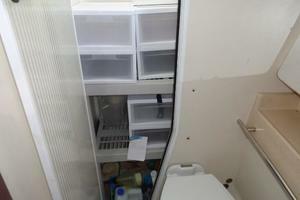 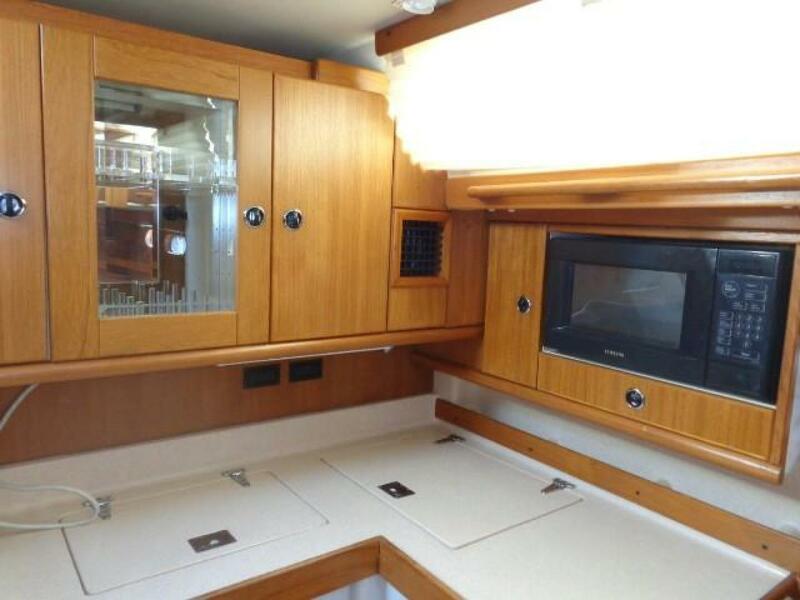 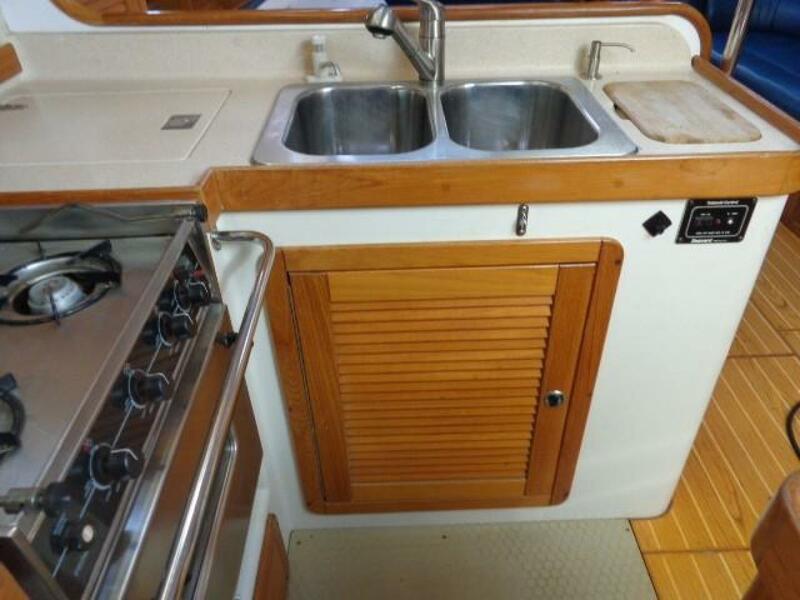 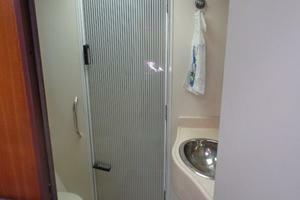 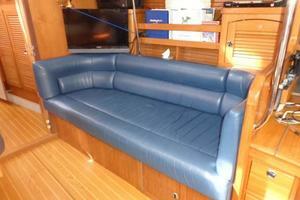 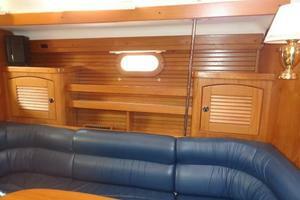 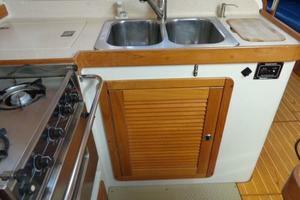 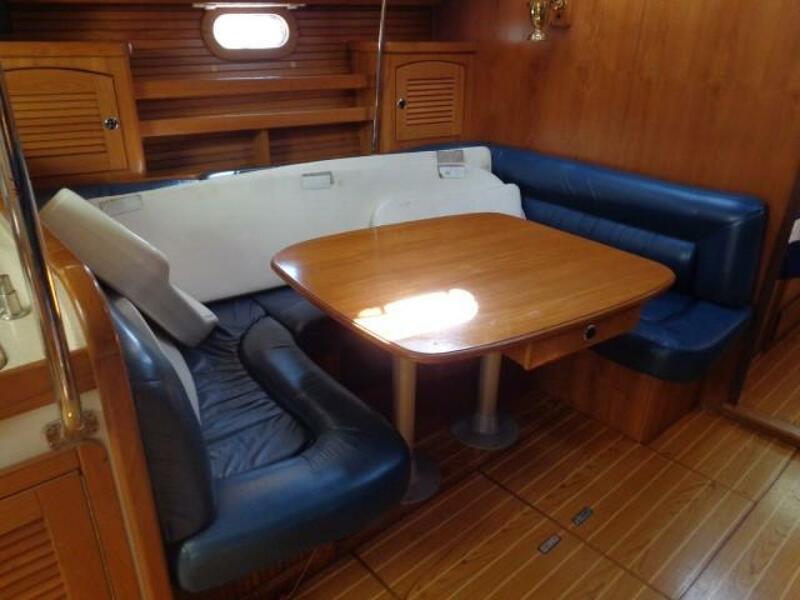 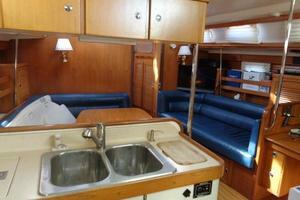 The exceptionally large galley is to port and just aft of the dinette. 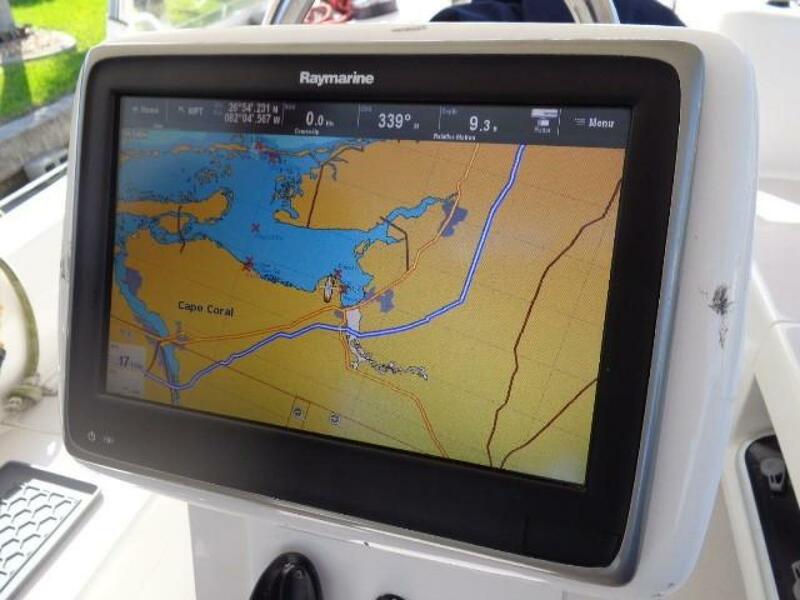 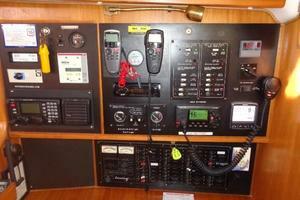 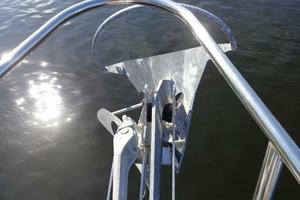 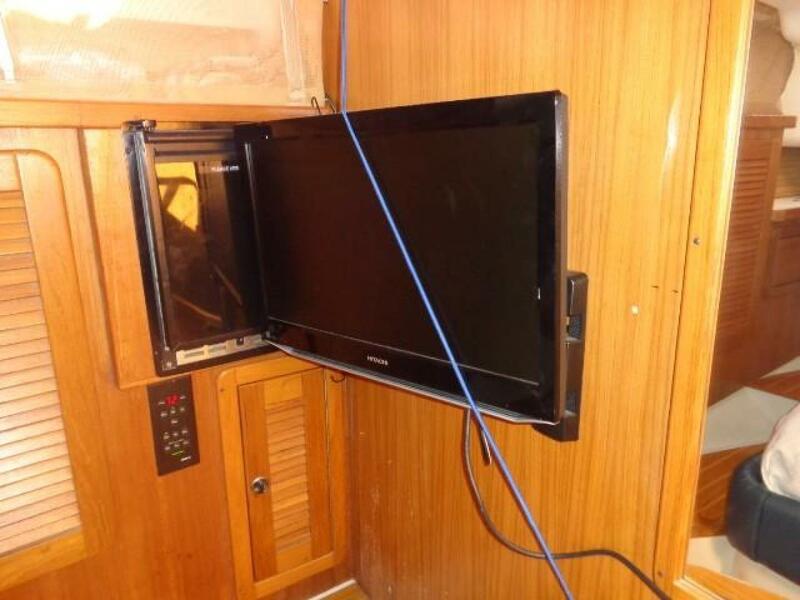 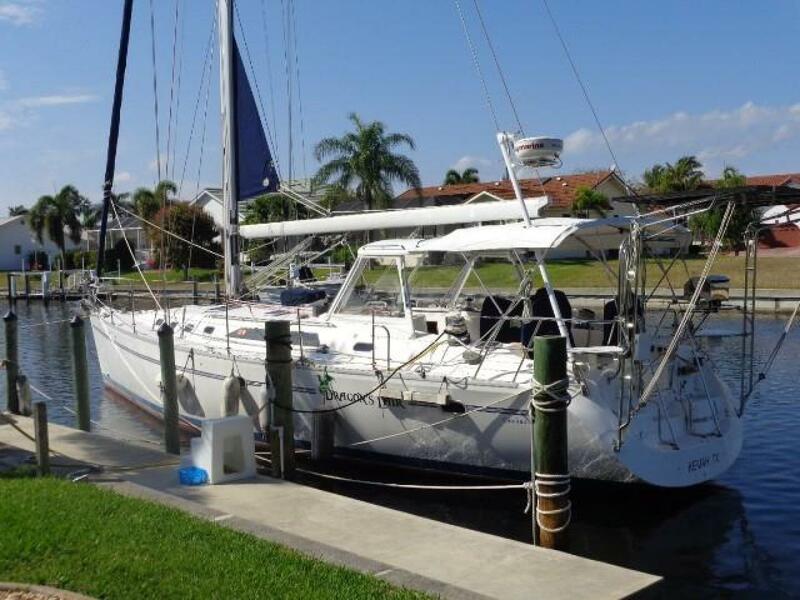 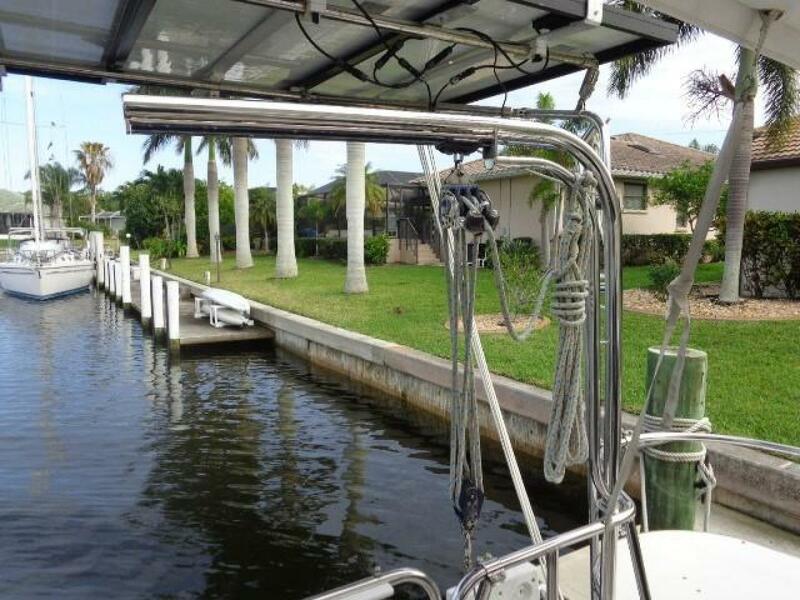 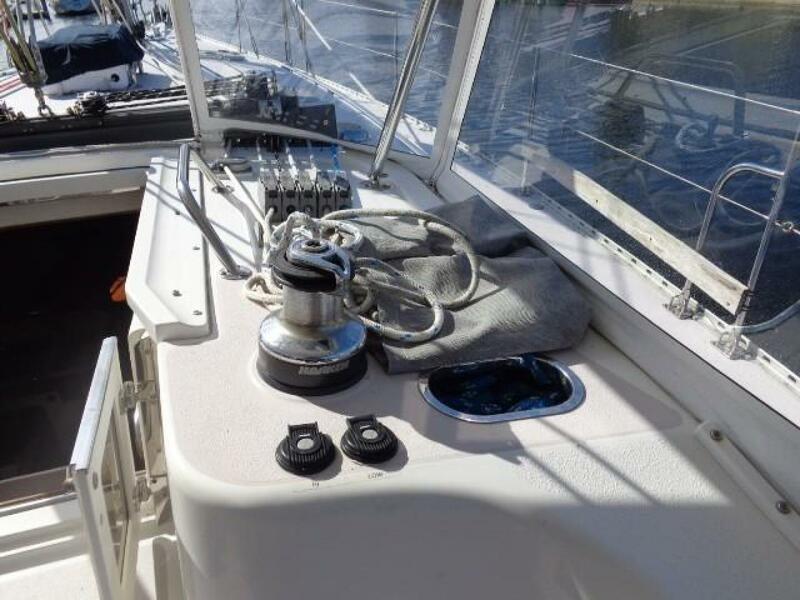 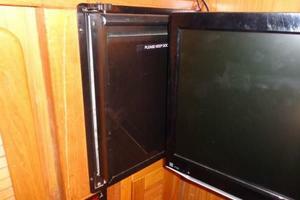 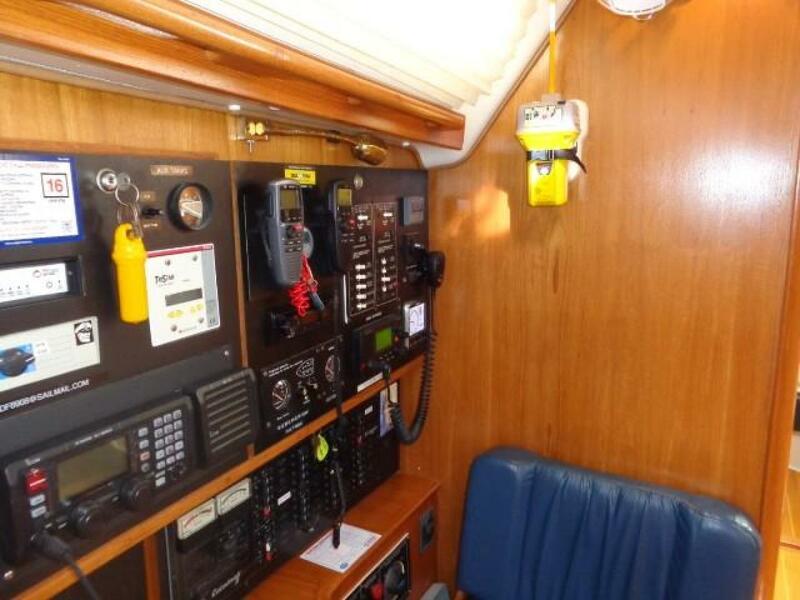 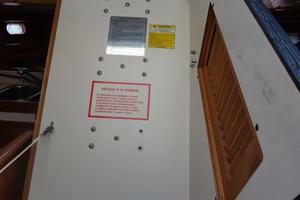 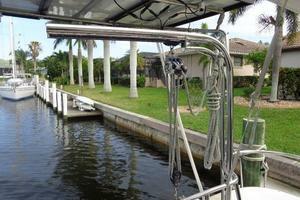 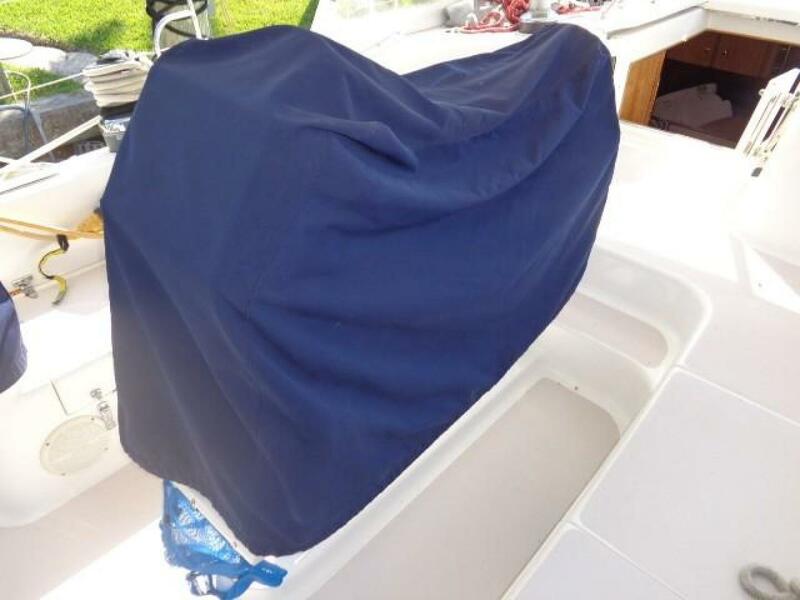 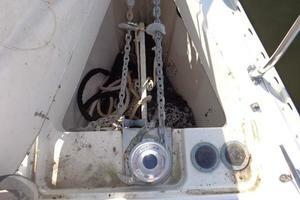 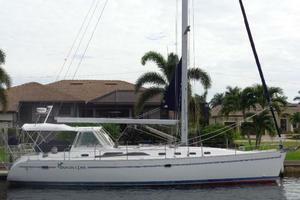 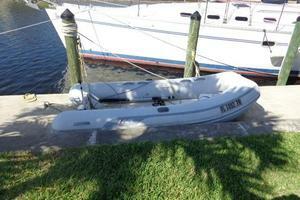 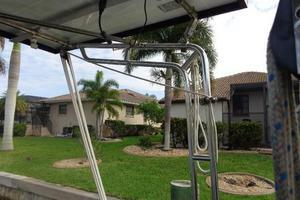 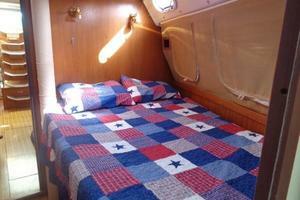 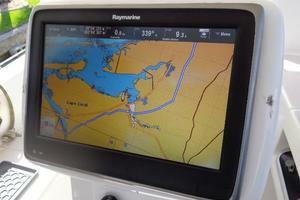 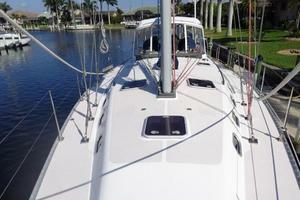 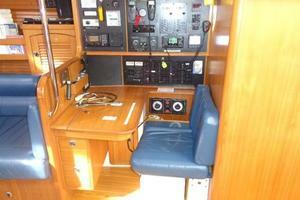 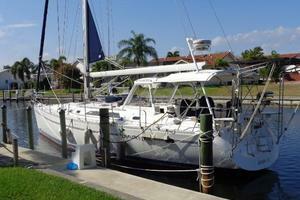 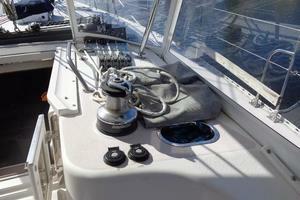 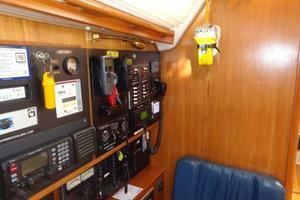 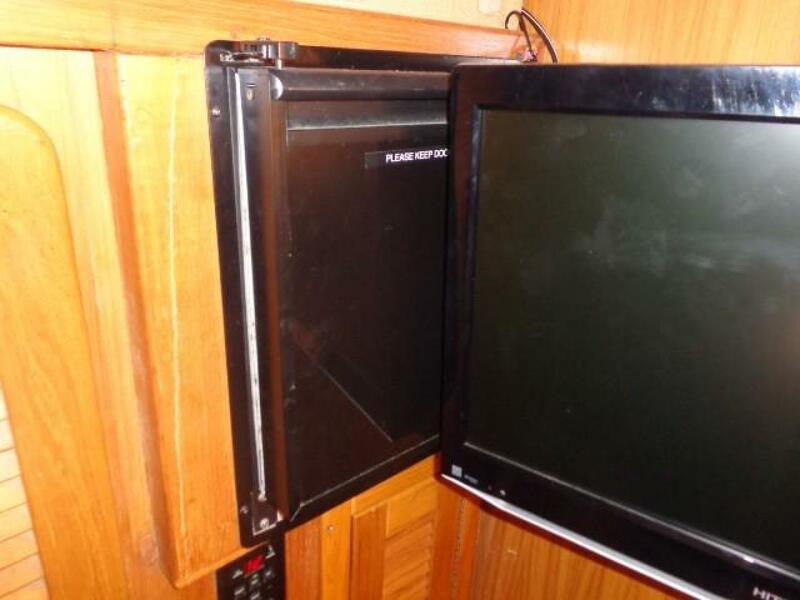 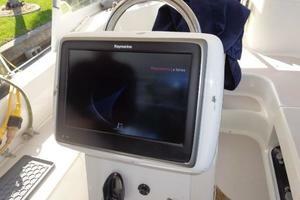 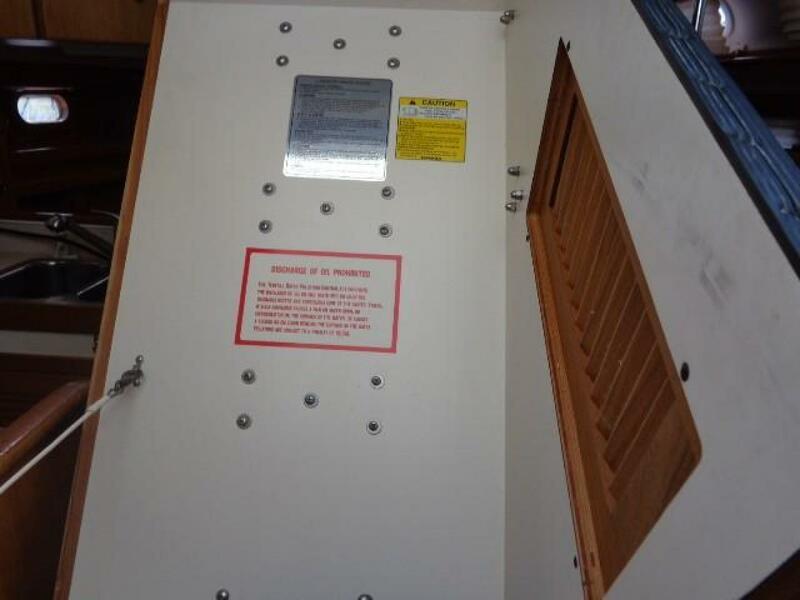 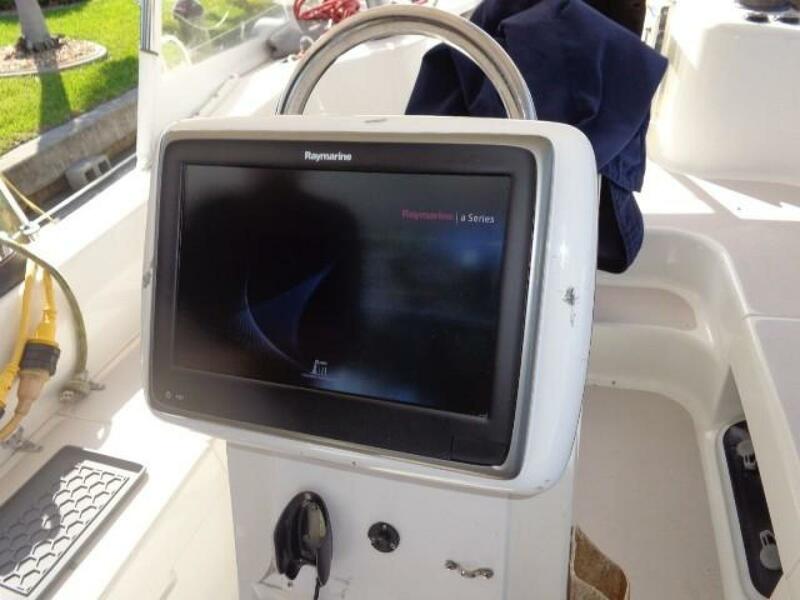 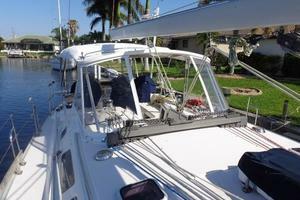 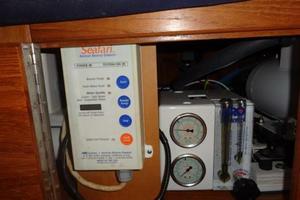 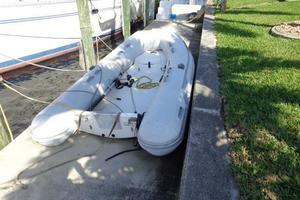 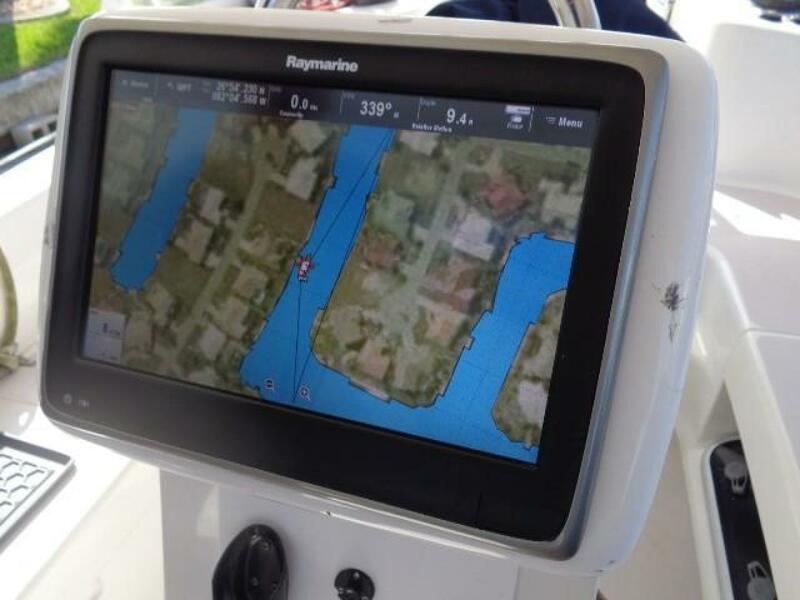 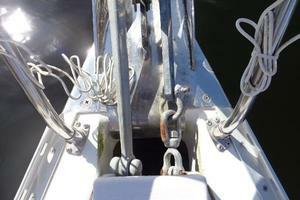 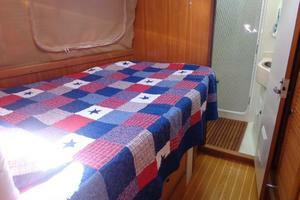 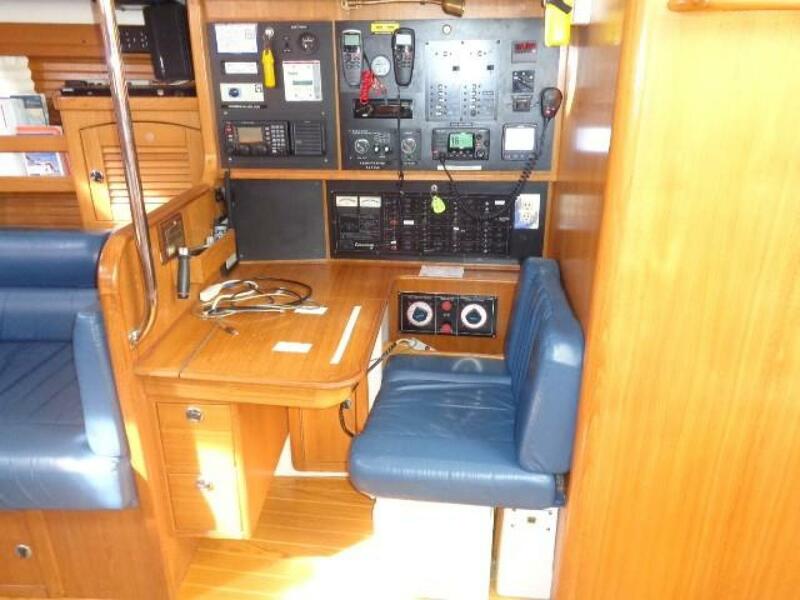 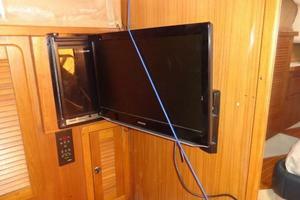 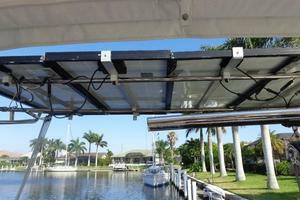 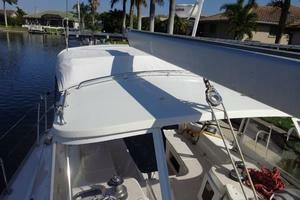 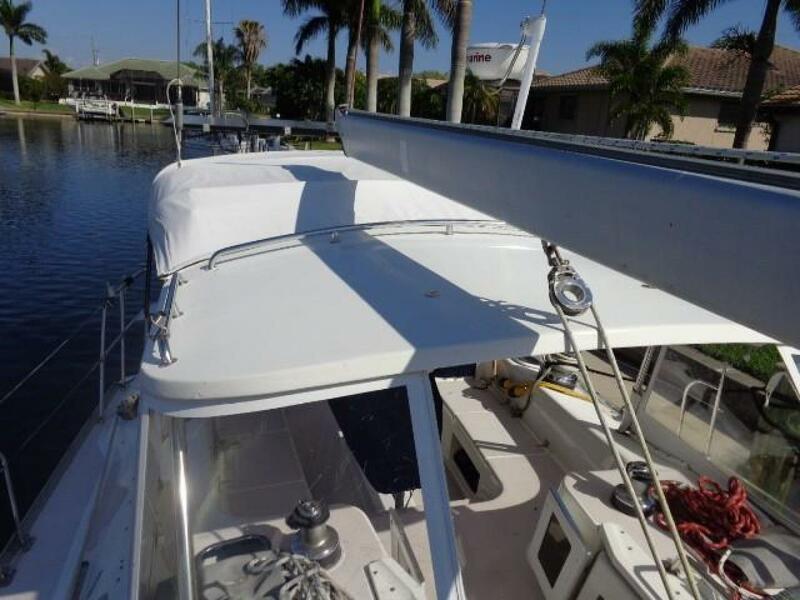 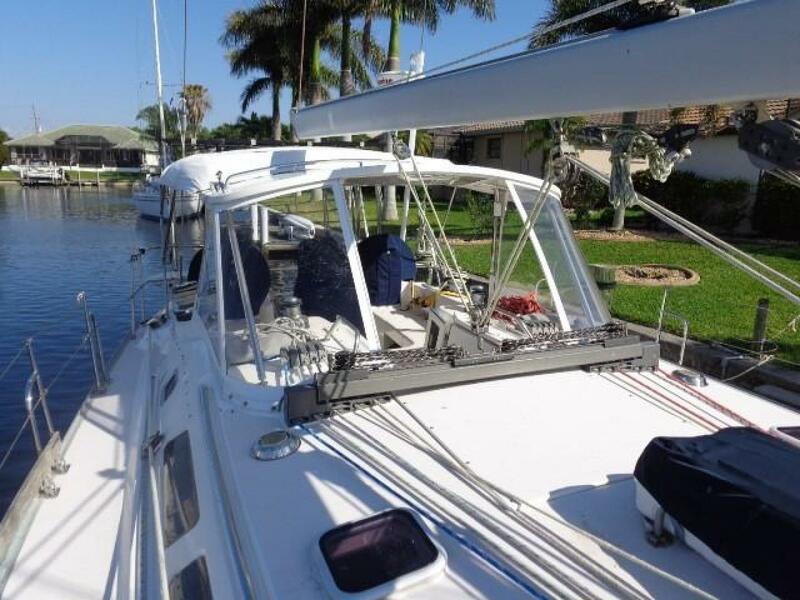 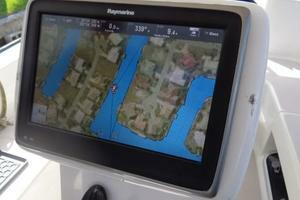 Directly across from the galley is the centrally located and well-equipped nav station. 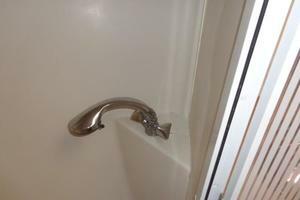 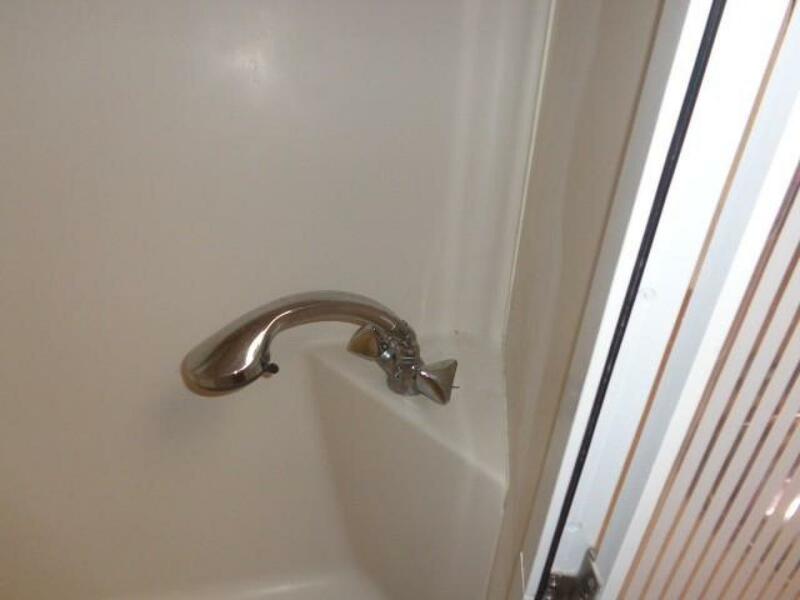 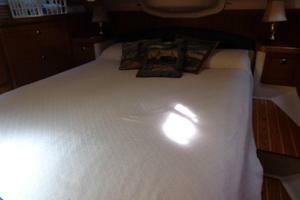 All the way aft is the luxurious owner’s stateroom. 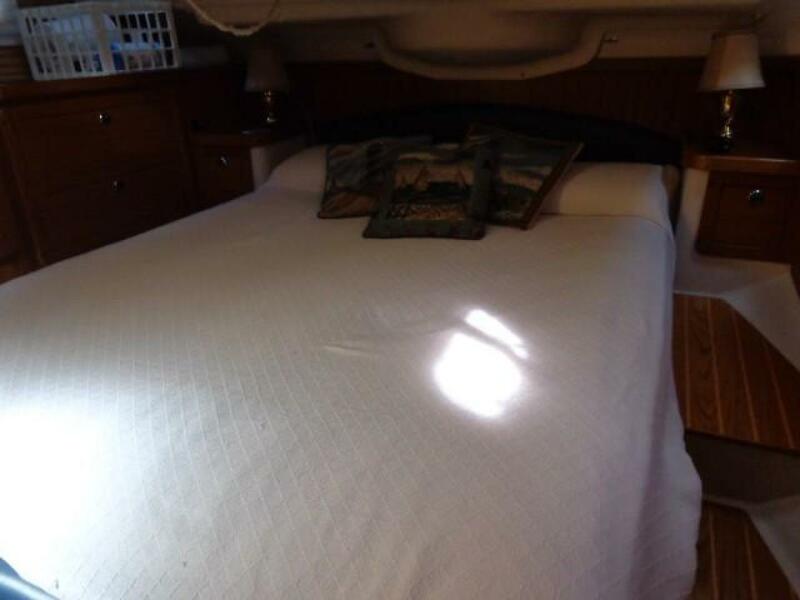 It features a centerline double berth, huge amount of storage and an ensuite head with separate shower that can be accessed from either the stateroom or the main salon. 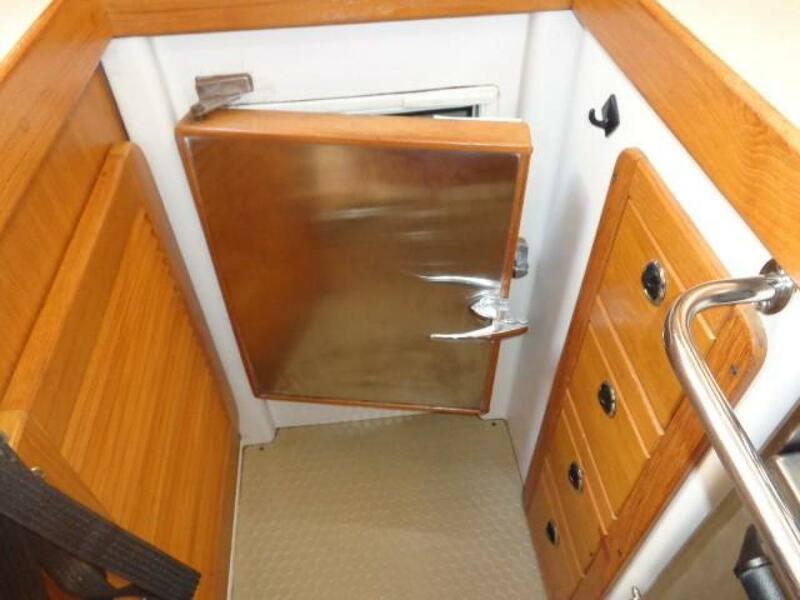 There is great ventilation throughout the interior via multiple opening ports and hatches; however, the two reverse cycle air conditioning/heat units ensure the interior is comfortable in all climates. 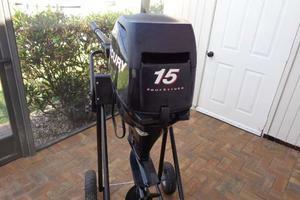 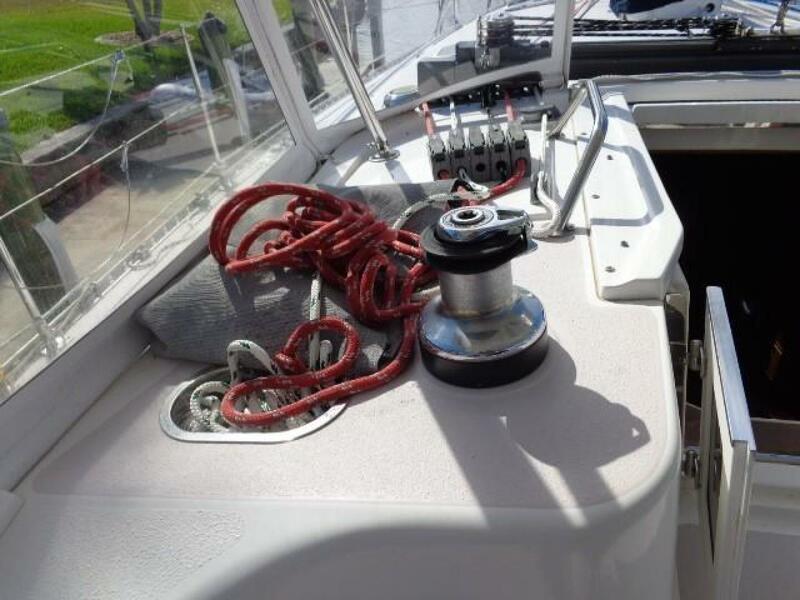 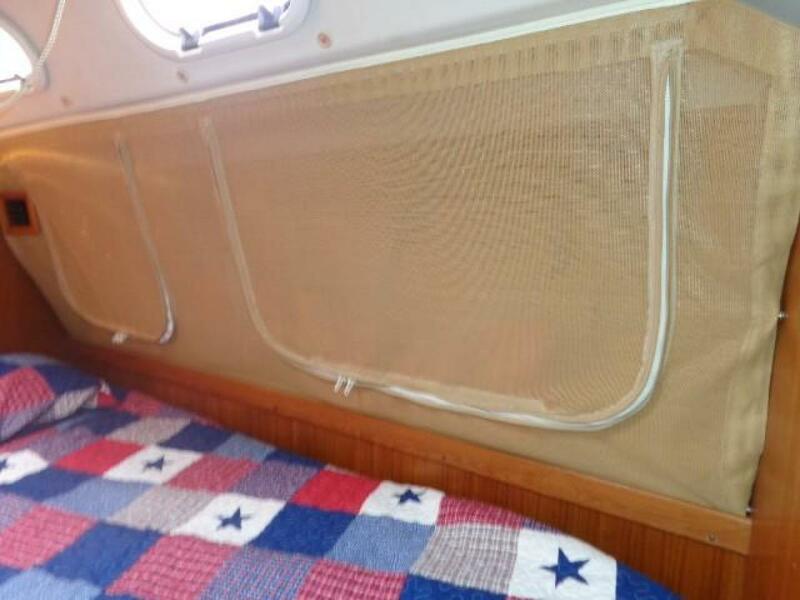 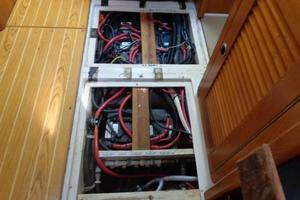 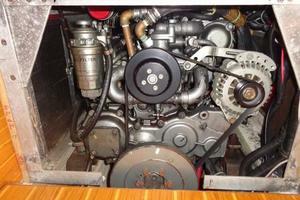 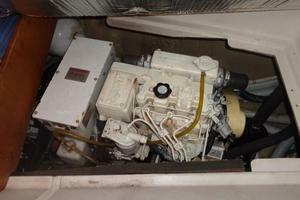 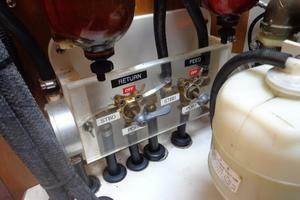 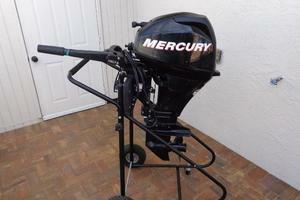 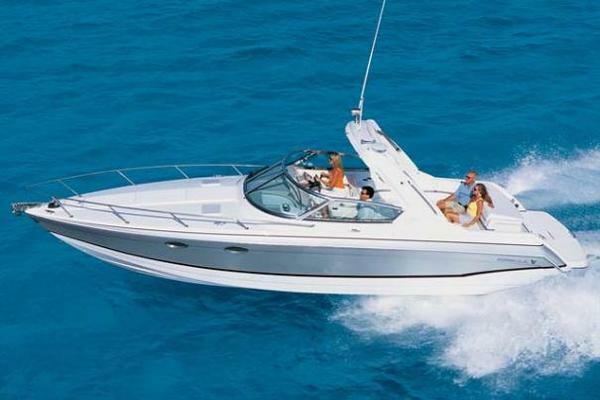 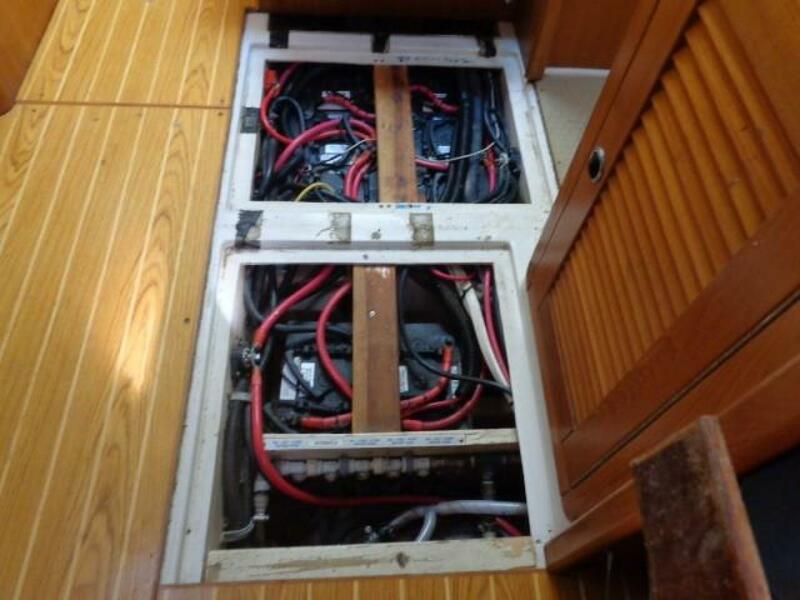 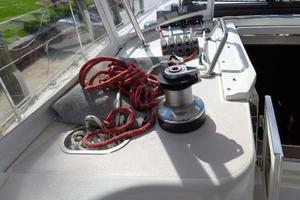 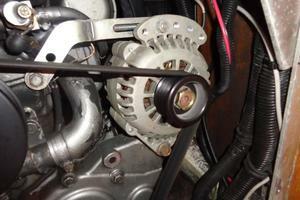 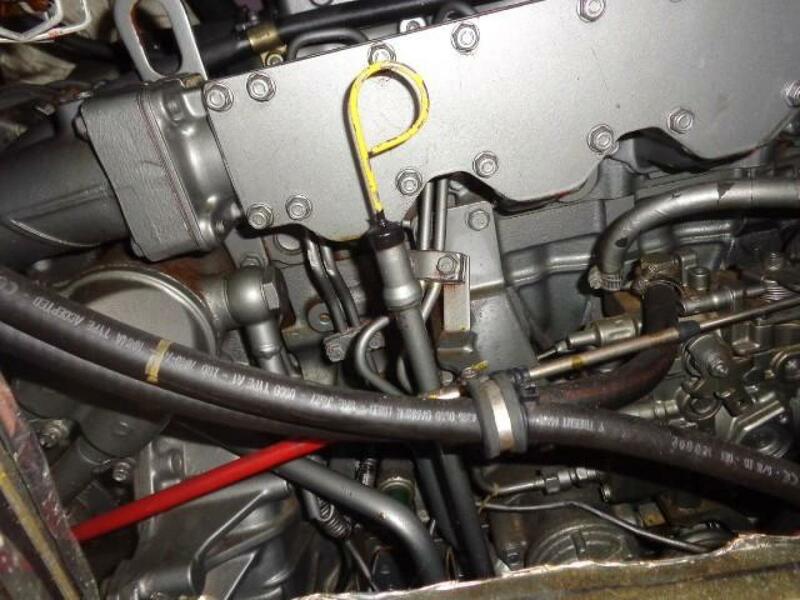 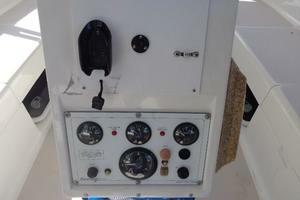 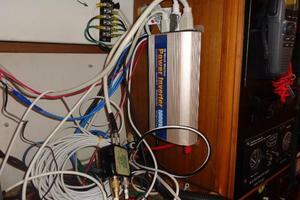 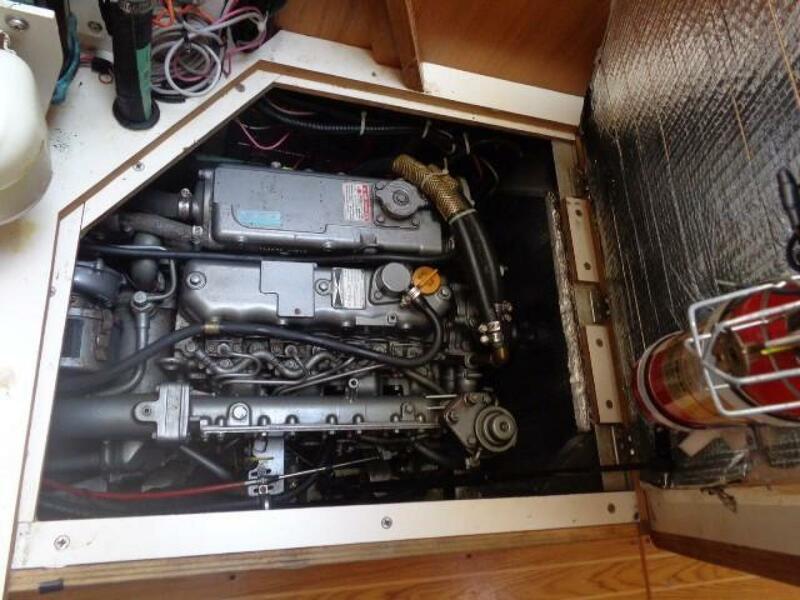 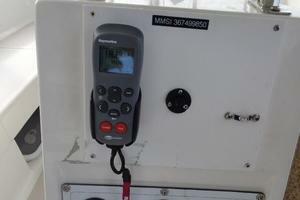 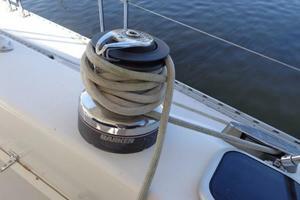 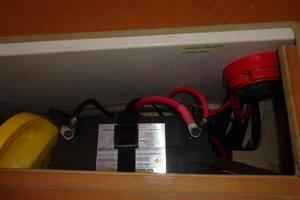 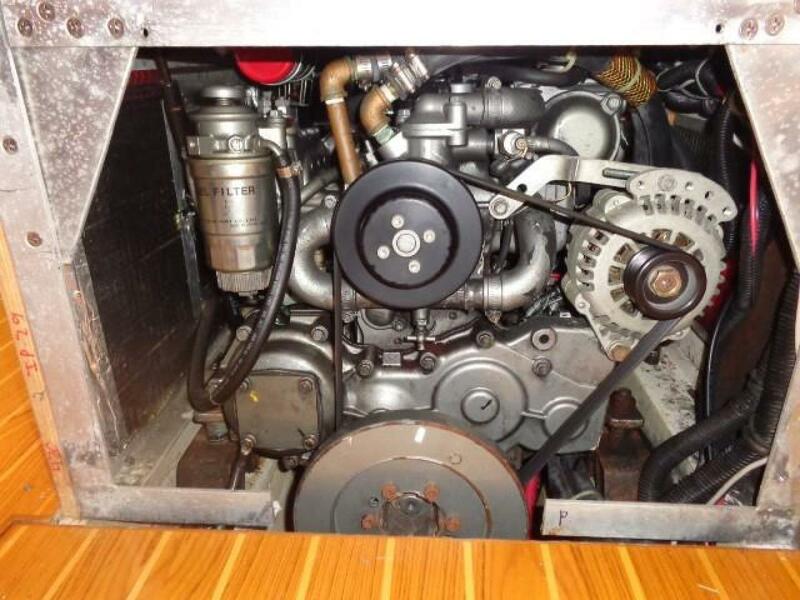 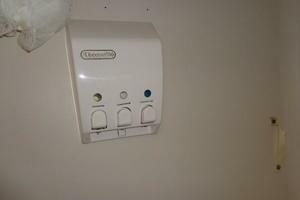 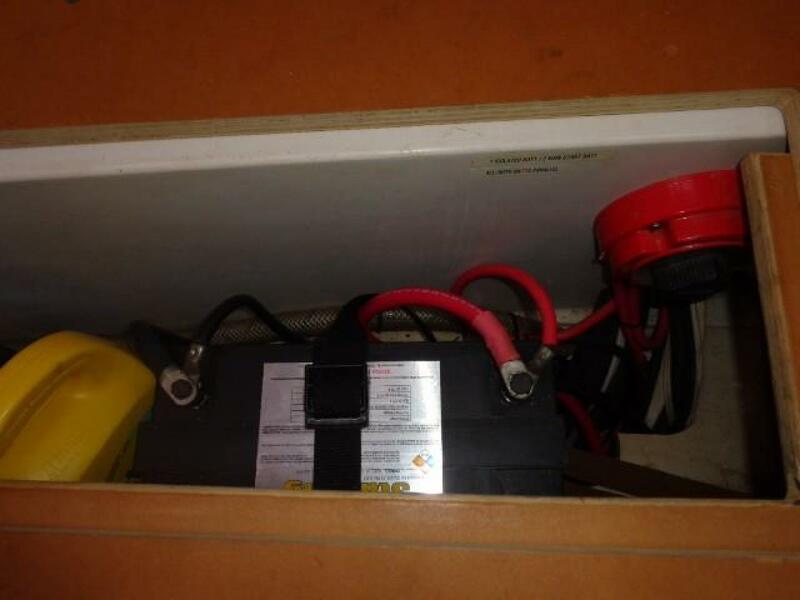 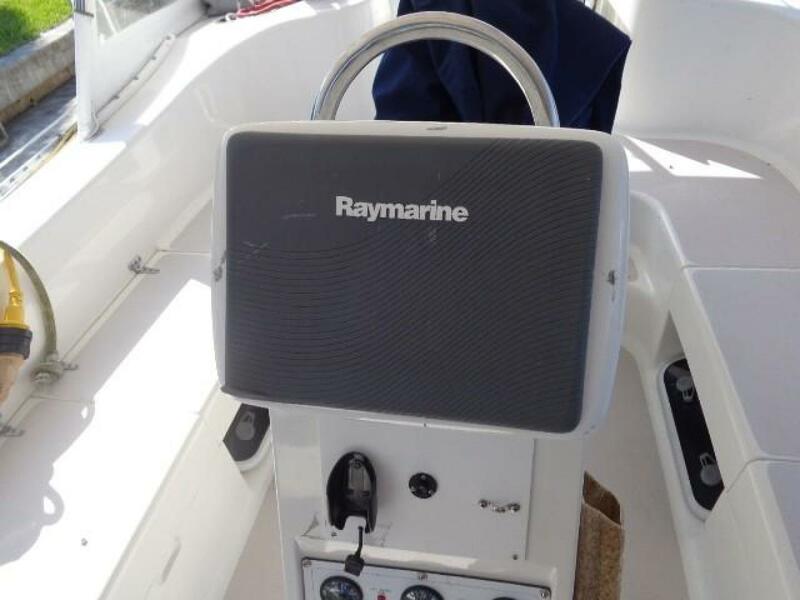 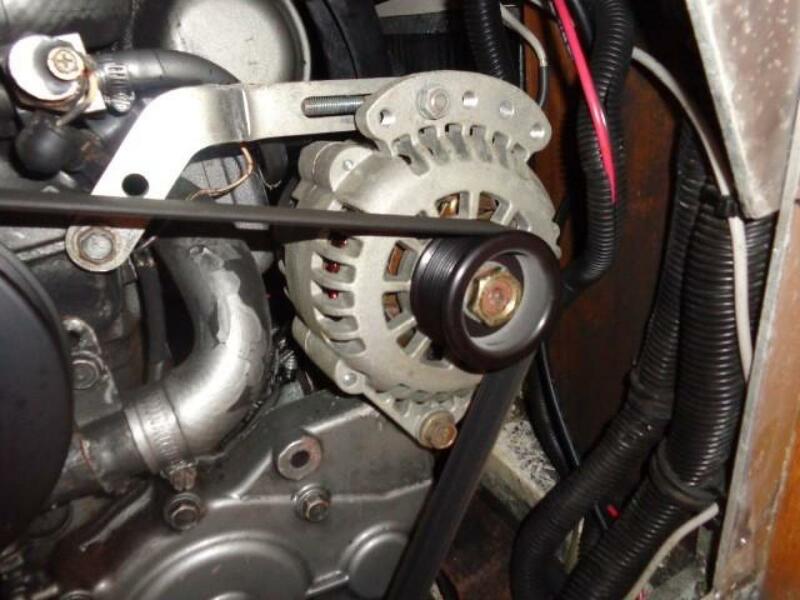 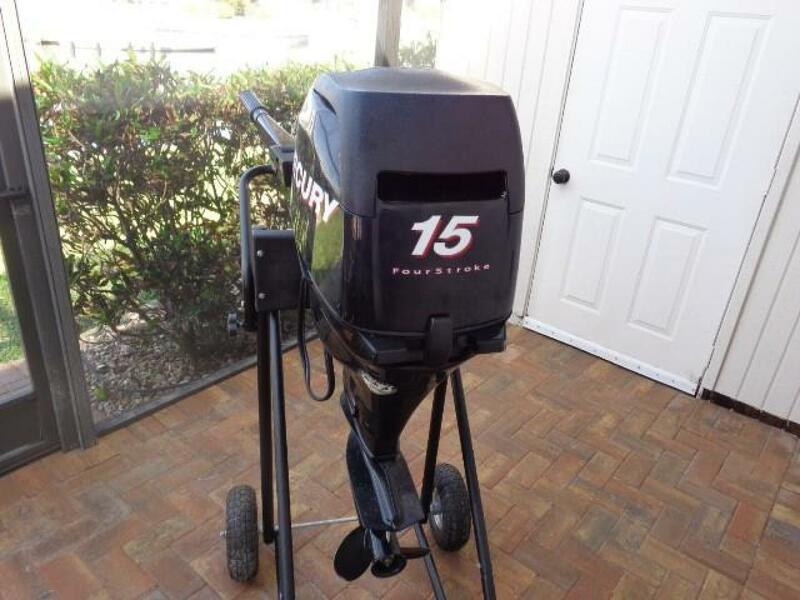 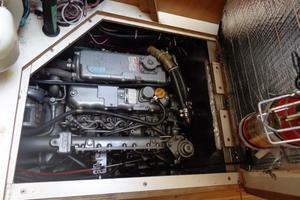 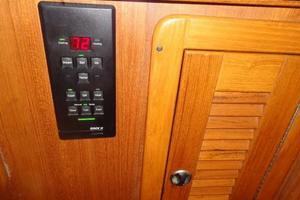 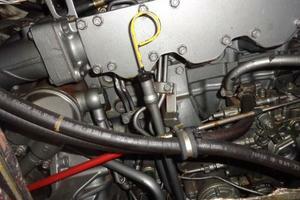 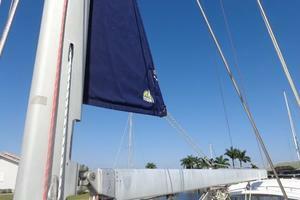 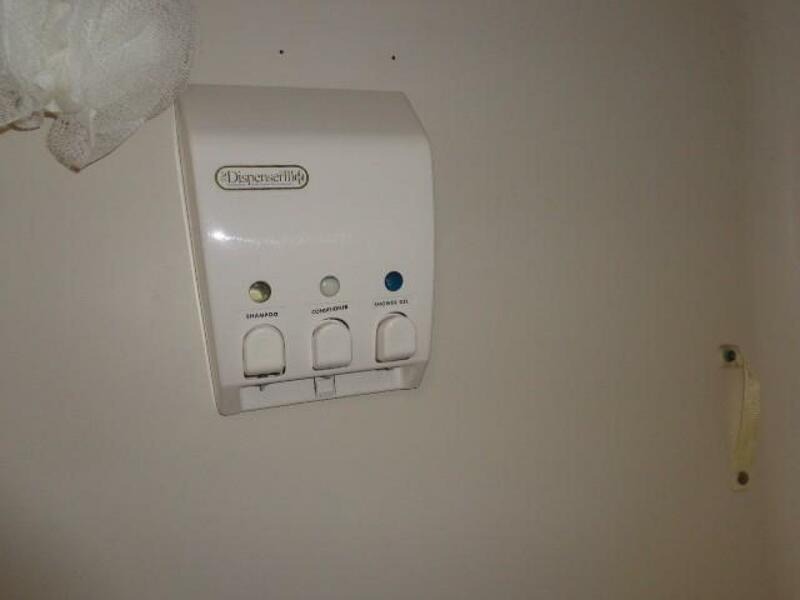 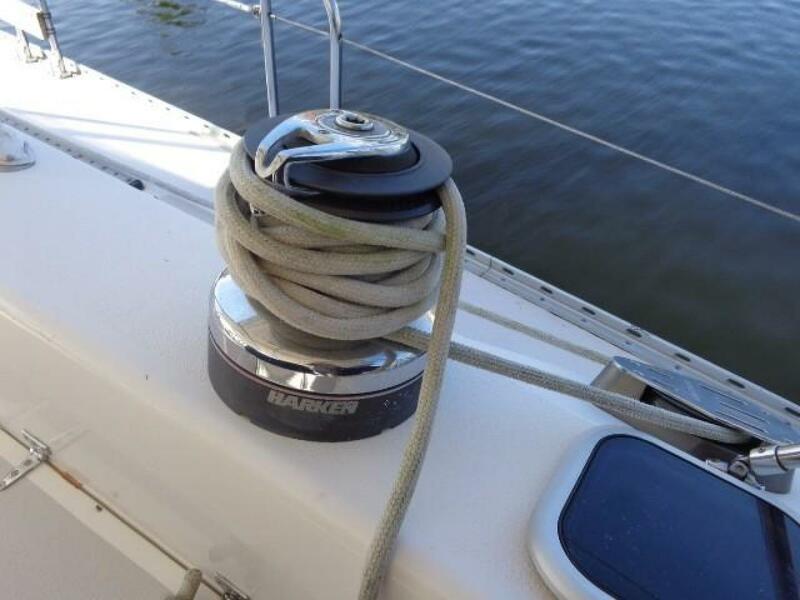 The generator ensures you can run the air conditioning even when you are on the hook or cruising offshore.